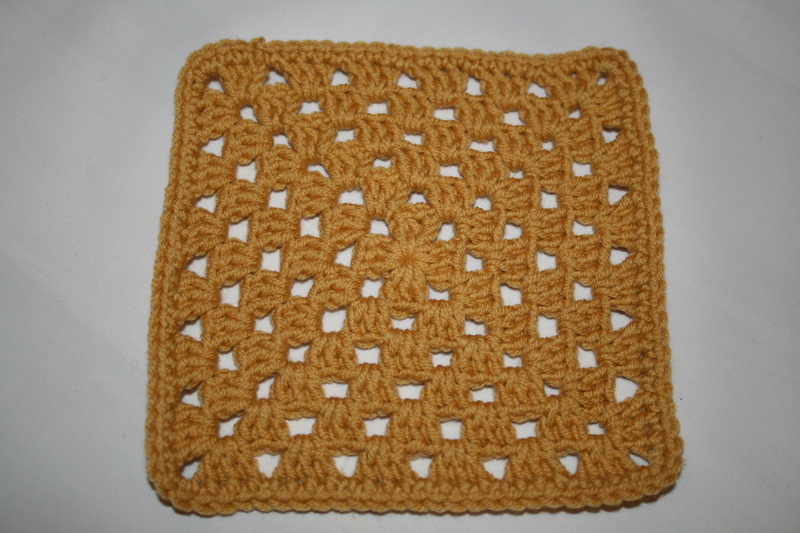 I know this is a crochet basic and there are loads of tutorials out there already but I wanted to do this for 2 friends in particular, first is our friend Michaela who we met in Corfu. 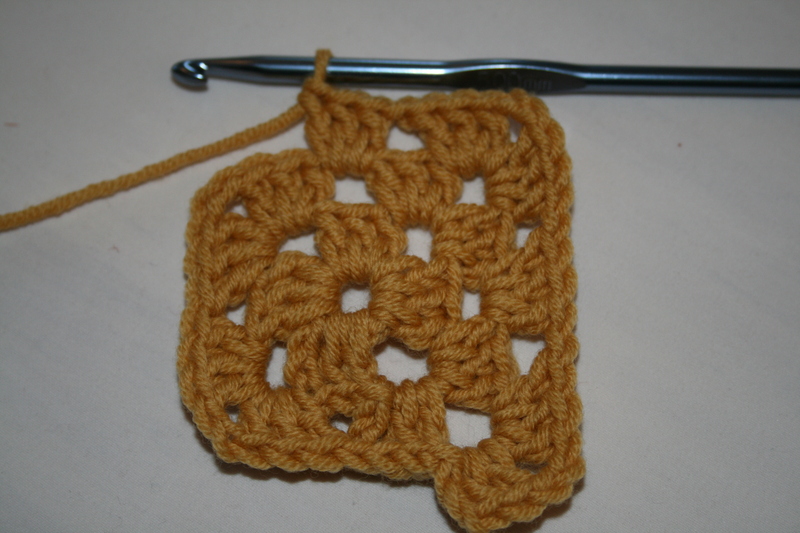 On our last holiday, I took a crochet project with me which I would work on while having our morning coffee, Michaela expressed an interest in taking up crochet so this is to help get her started. 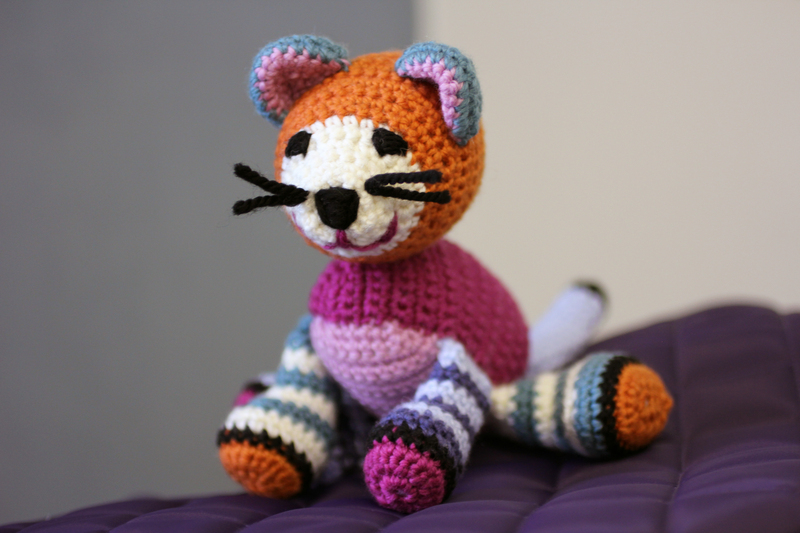 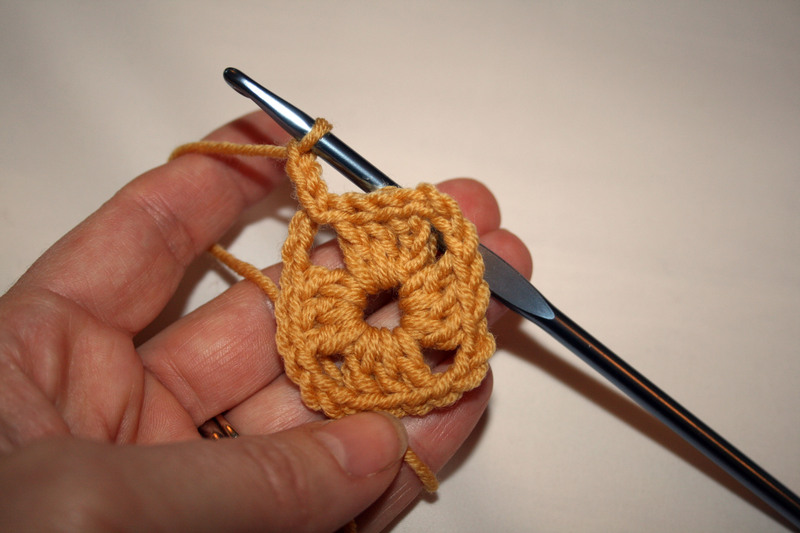 The second is a very creatively talented young lady who is a whiz with a pair of knitting needles and although she has crocheted some lovely things tells me she struggles to make a Granny Square actually square. 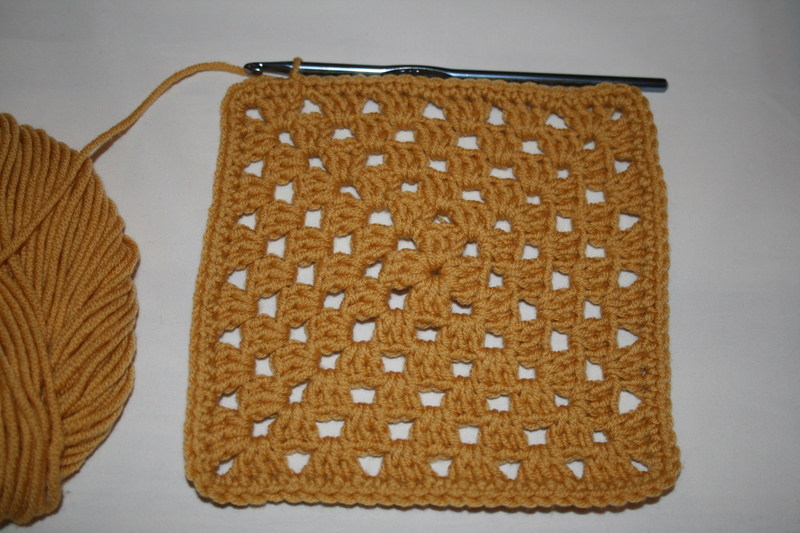 So for these two lovely people and anyone else out there who needs a helping hand to get started, here goes……. 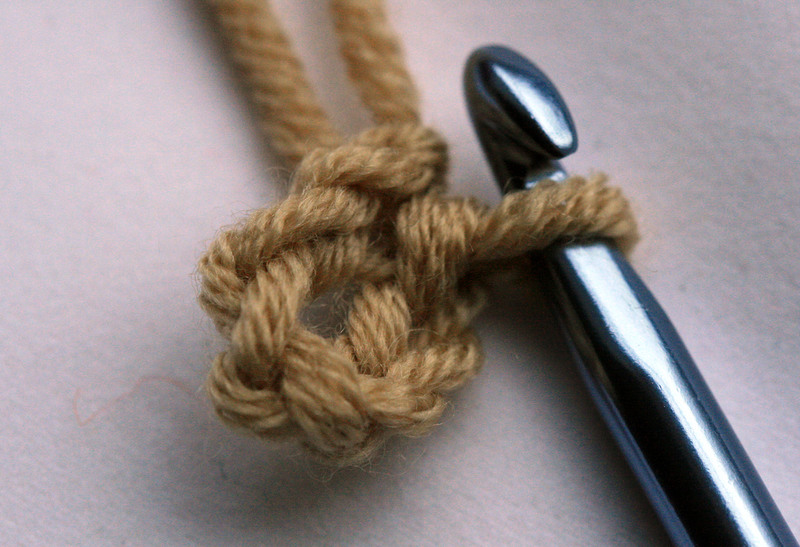 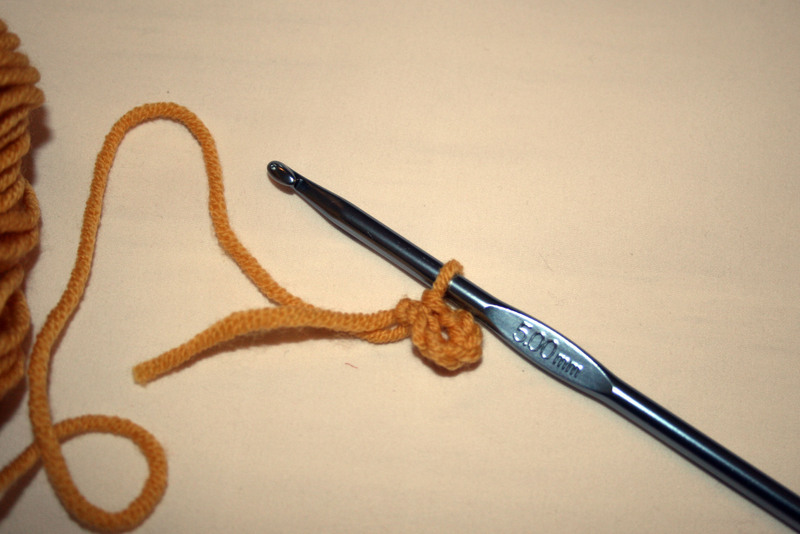 Make a slip knot to start and chain 6. 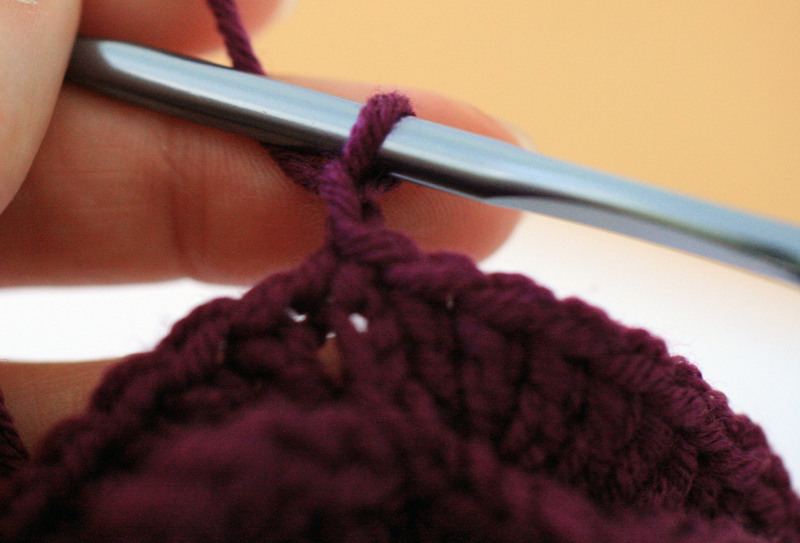 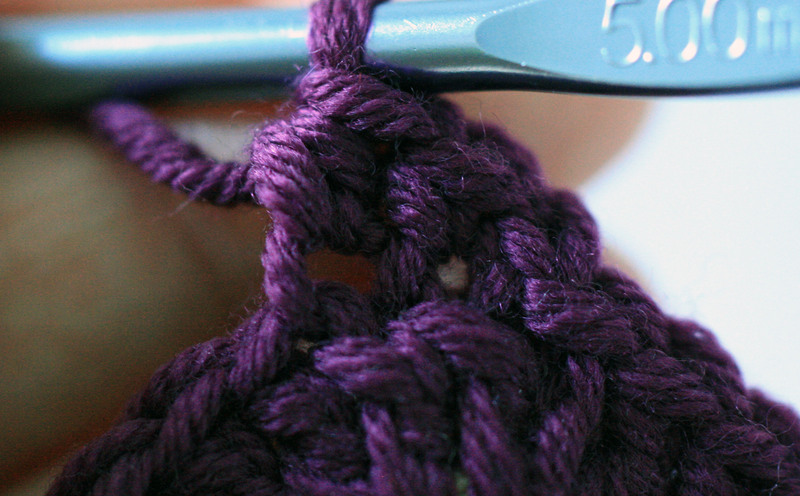 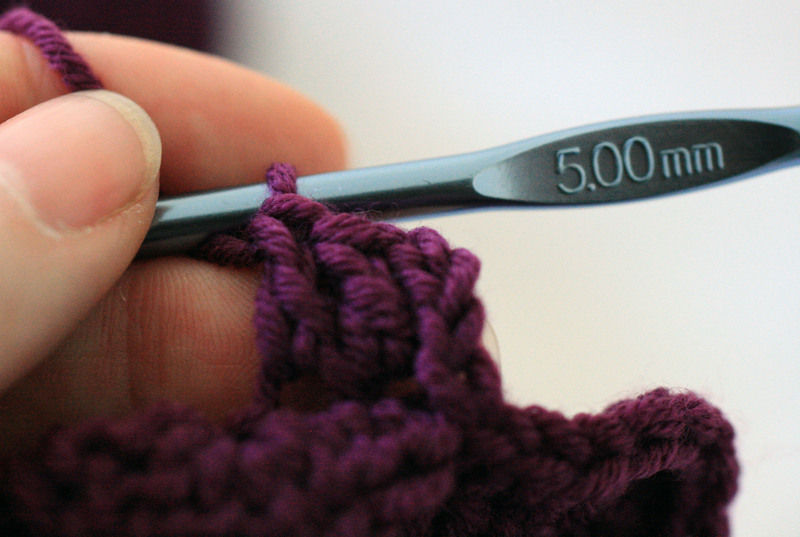 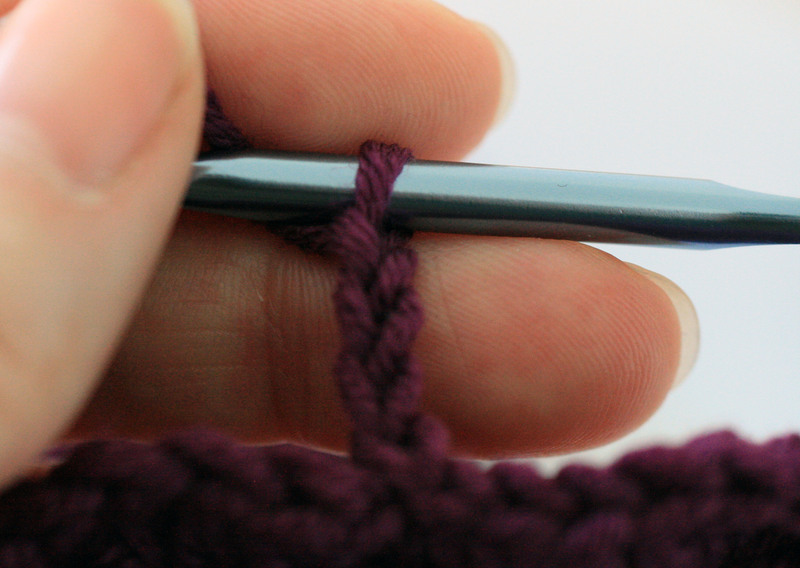 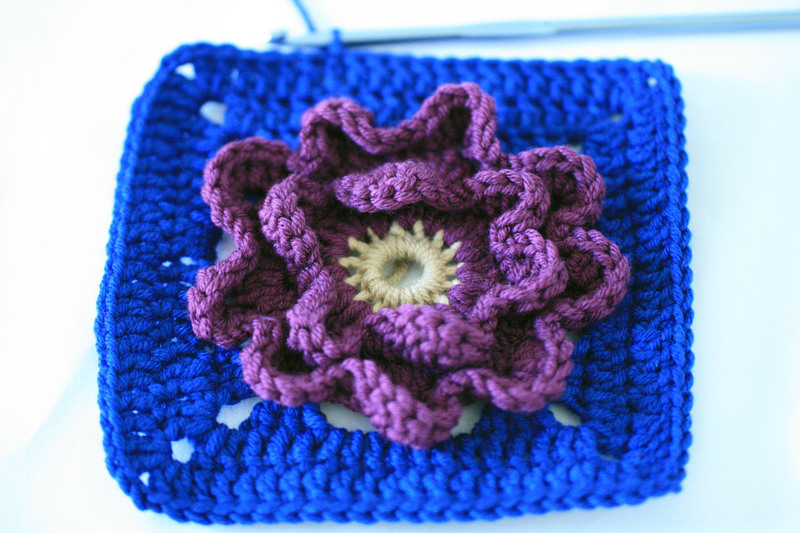 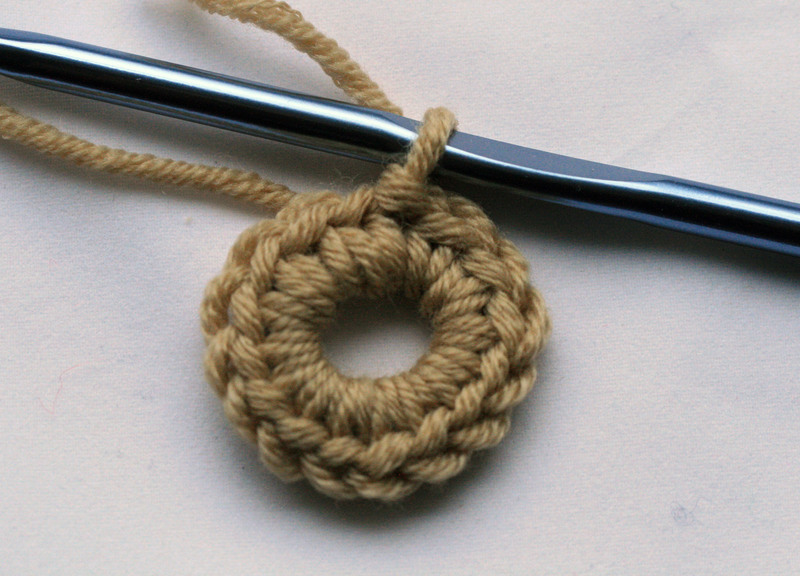 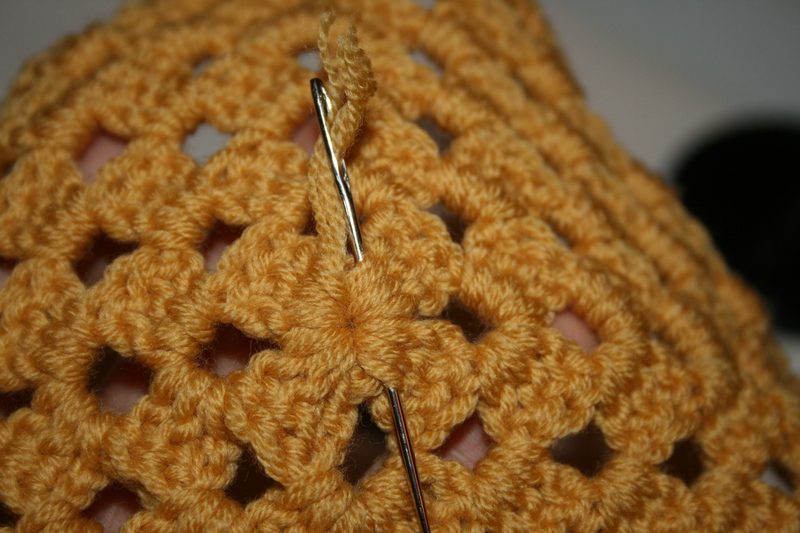 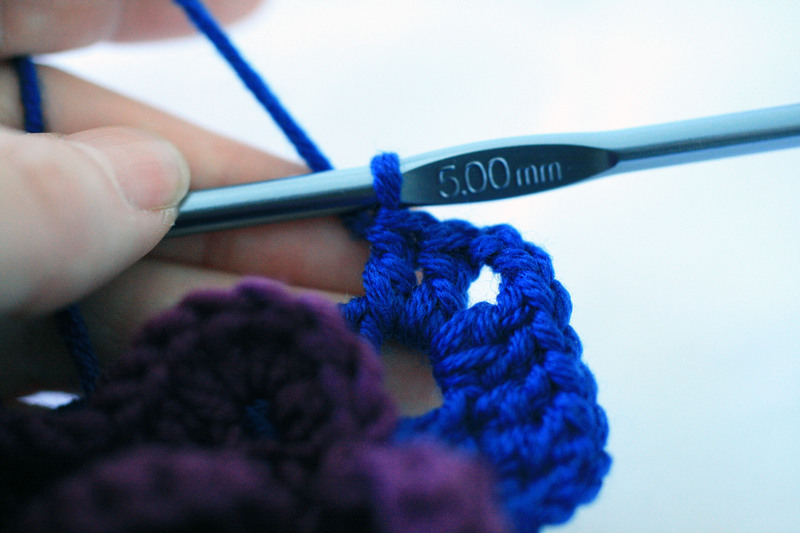 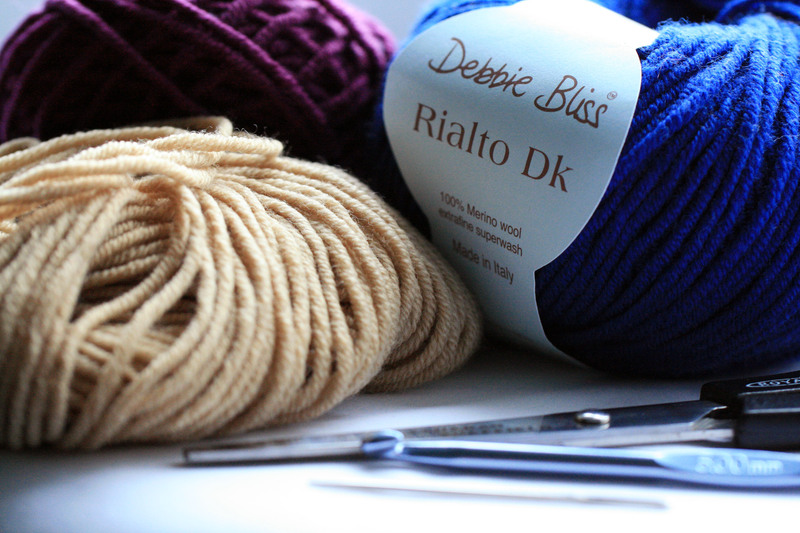 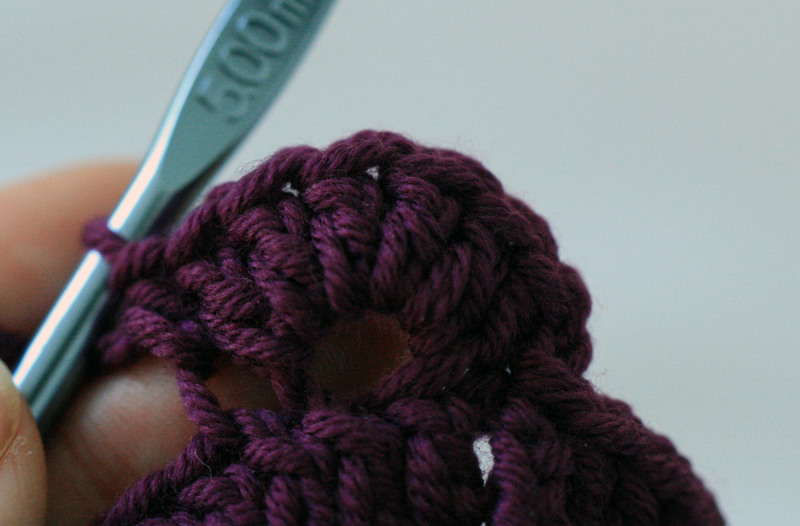 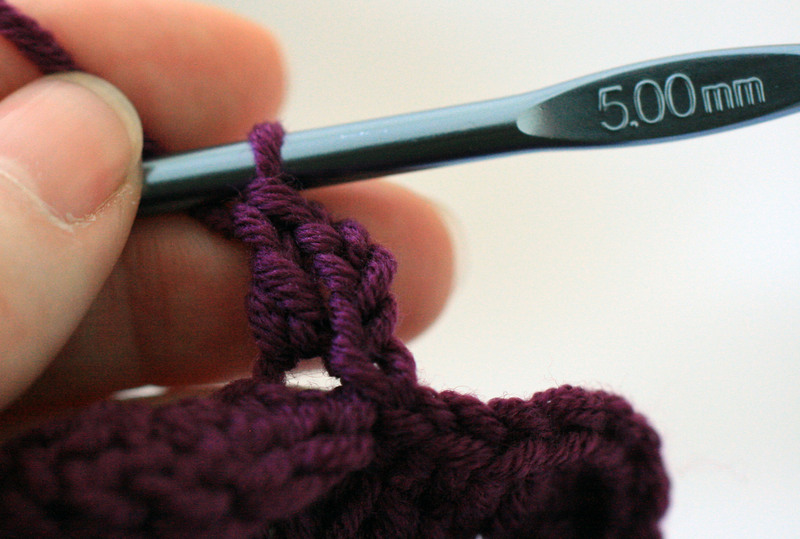 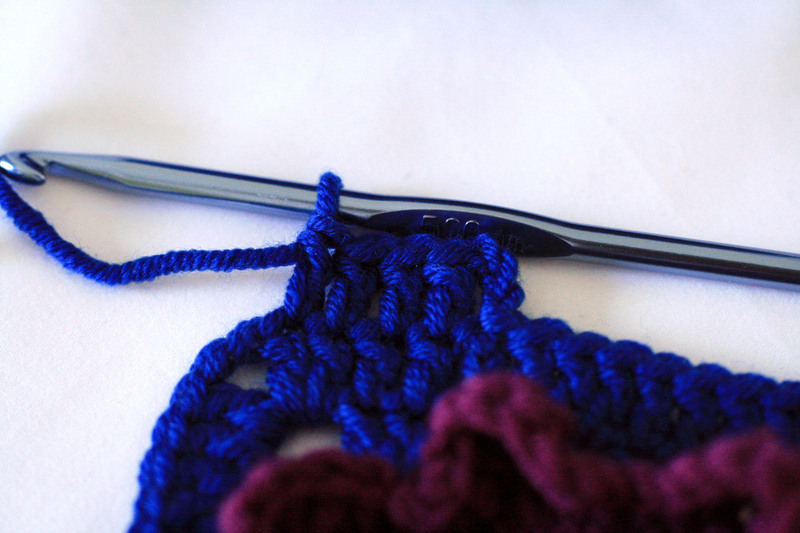 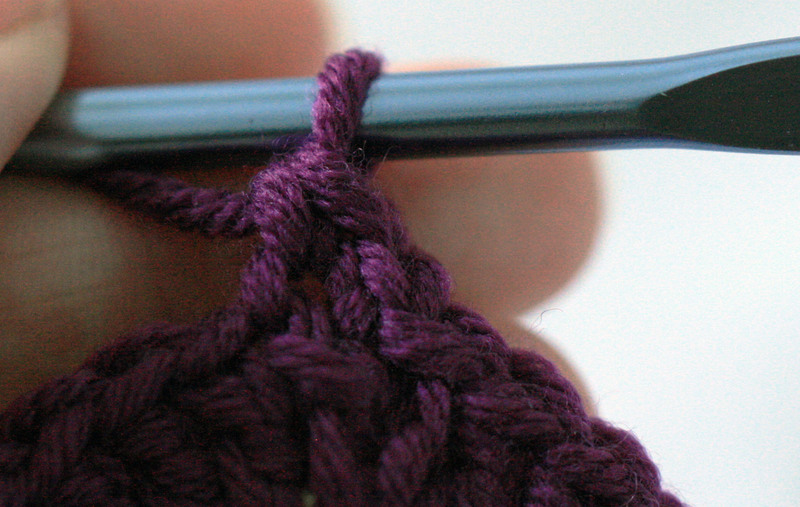 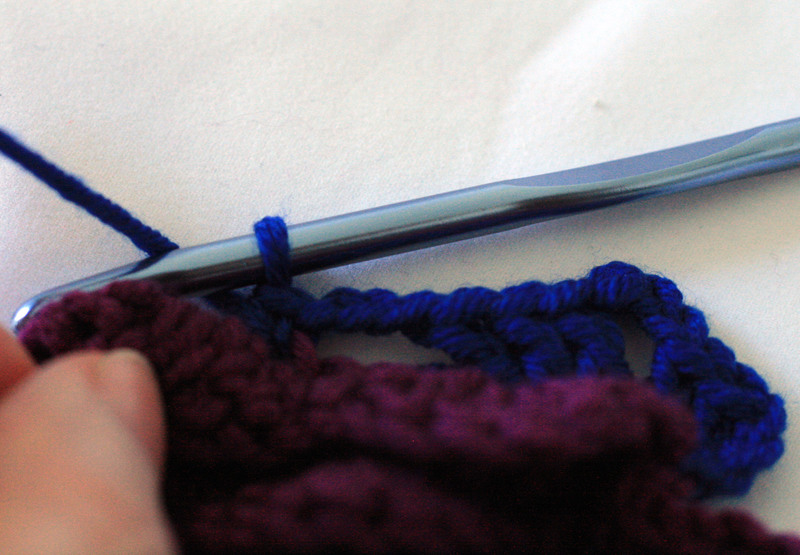 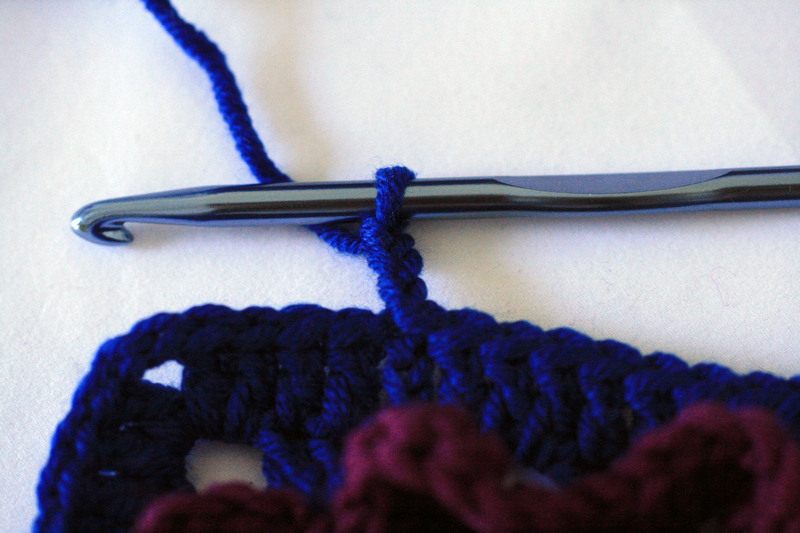 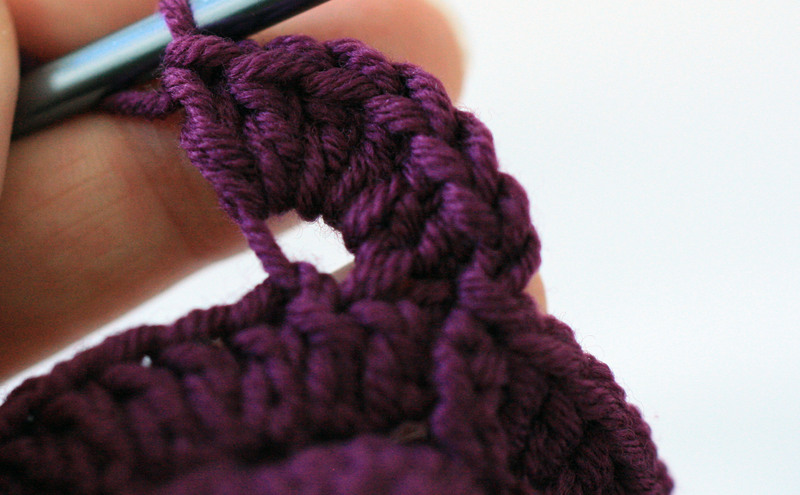 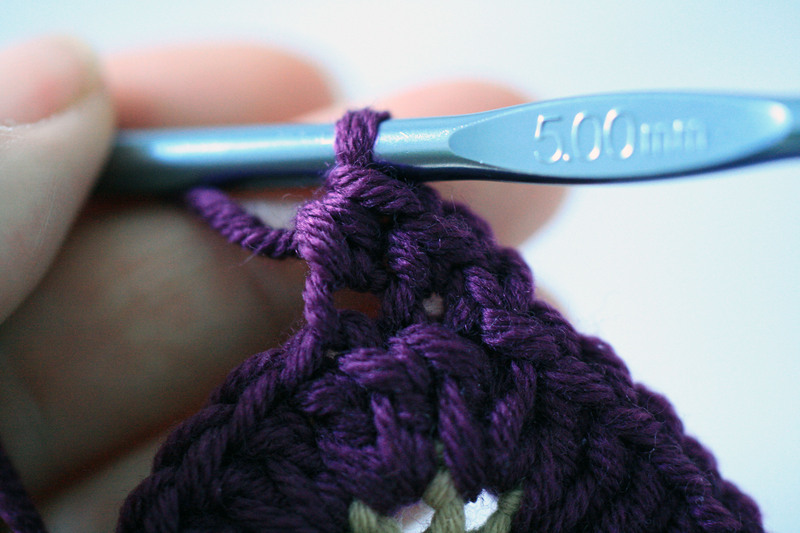 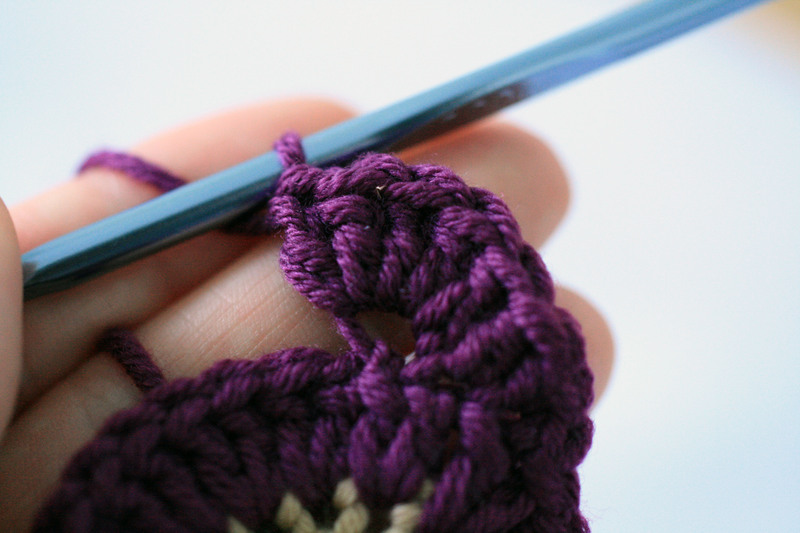 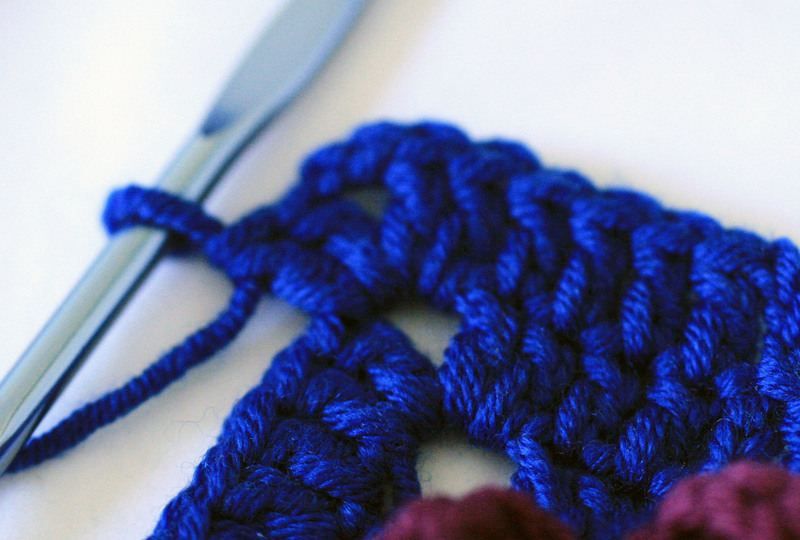 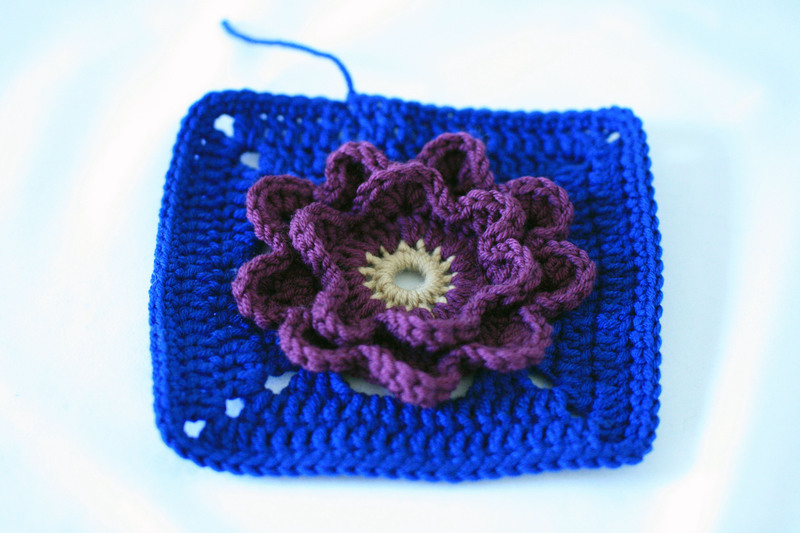 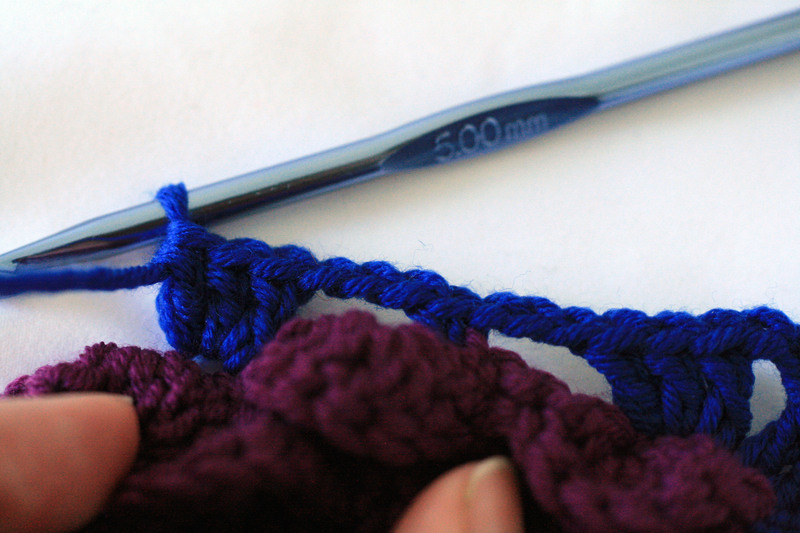 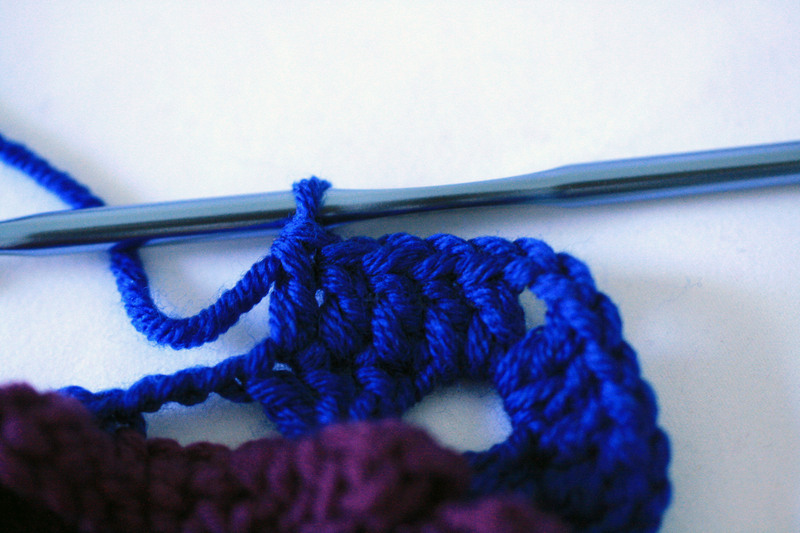 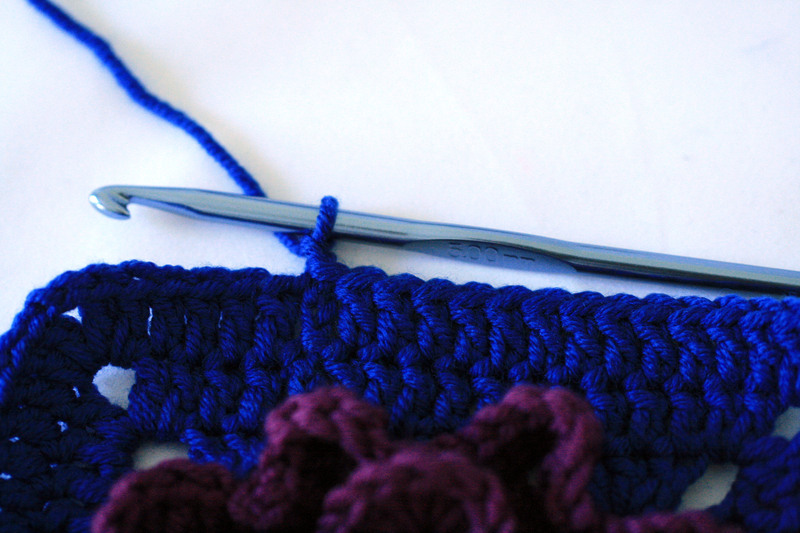 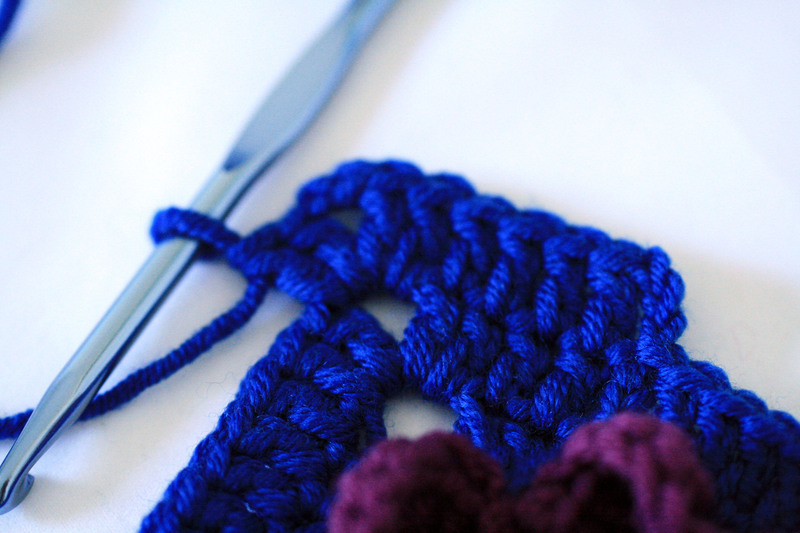 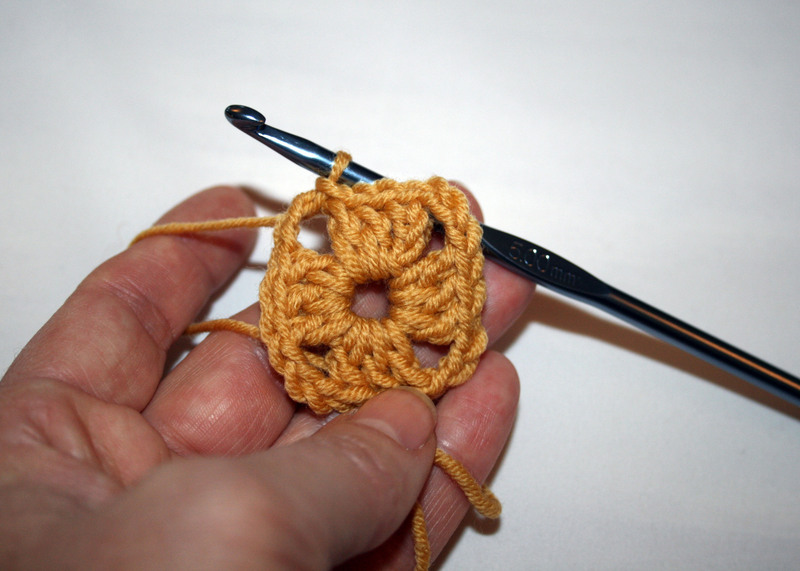 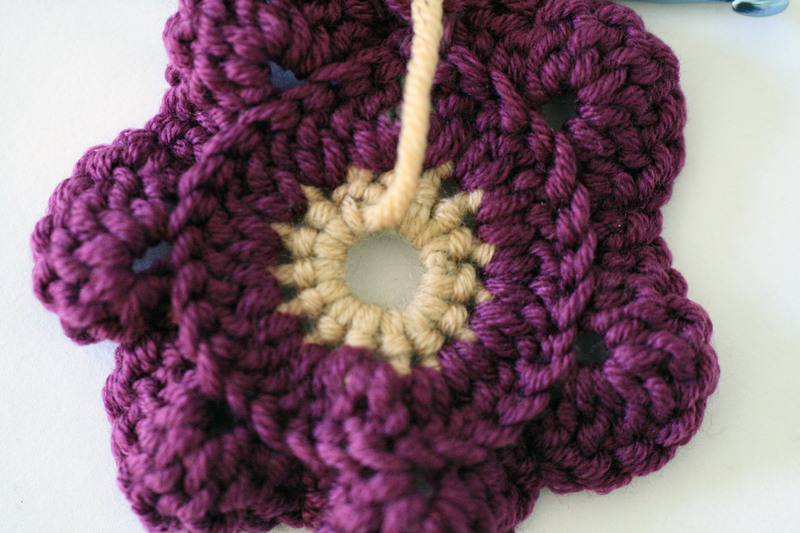 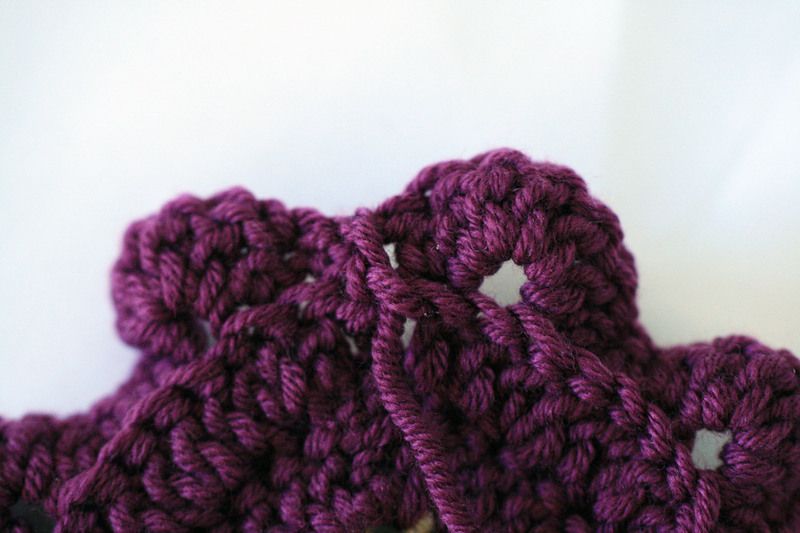 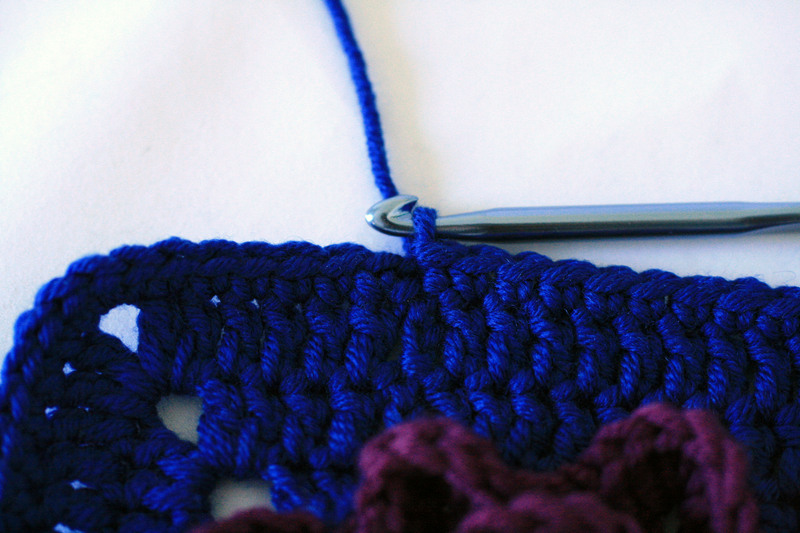 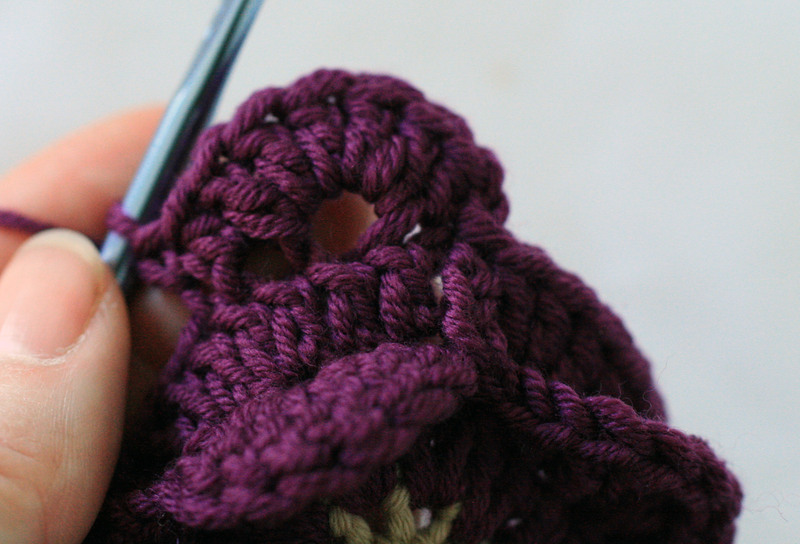 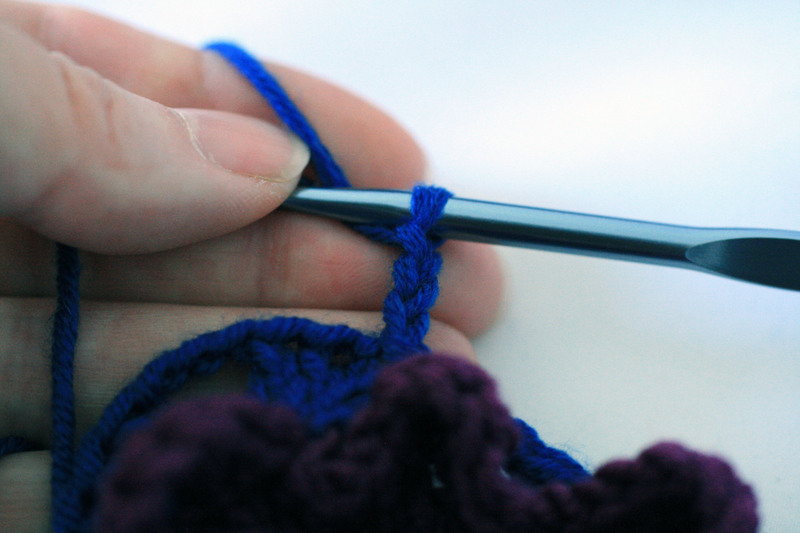 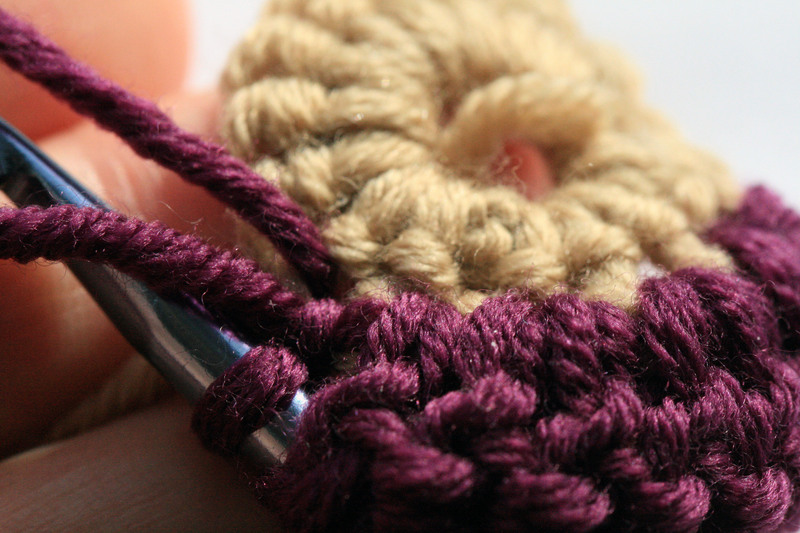 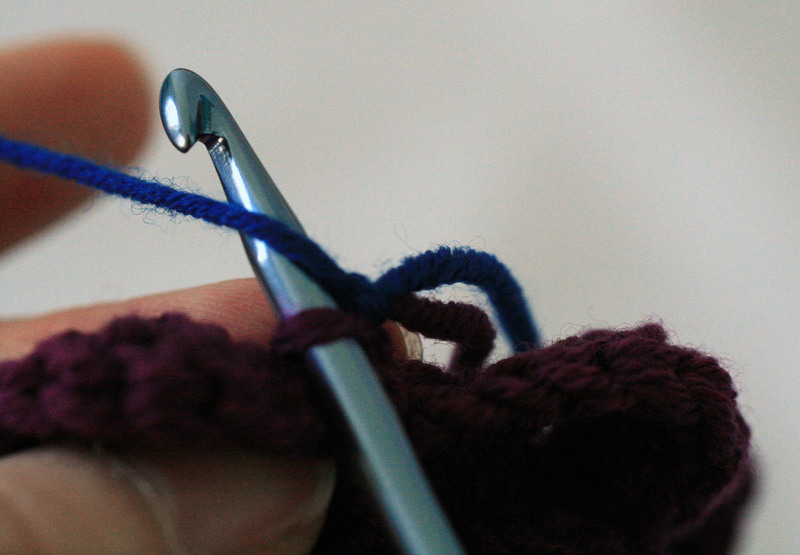 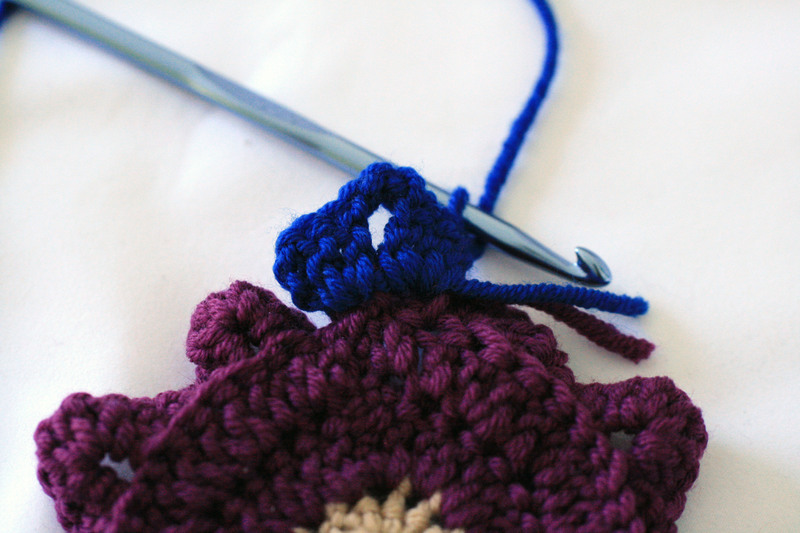 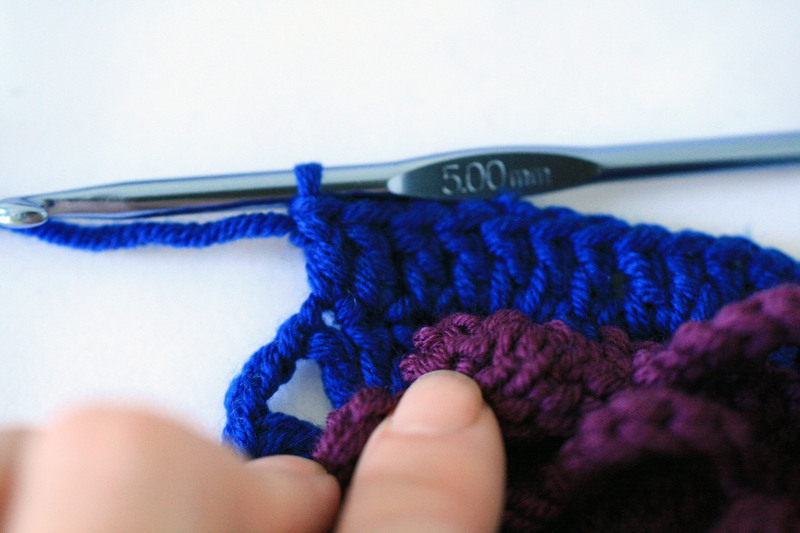 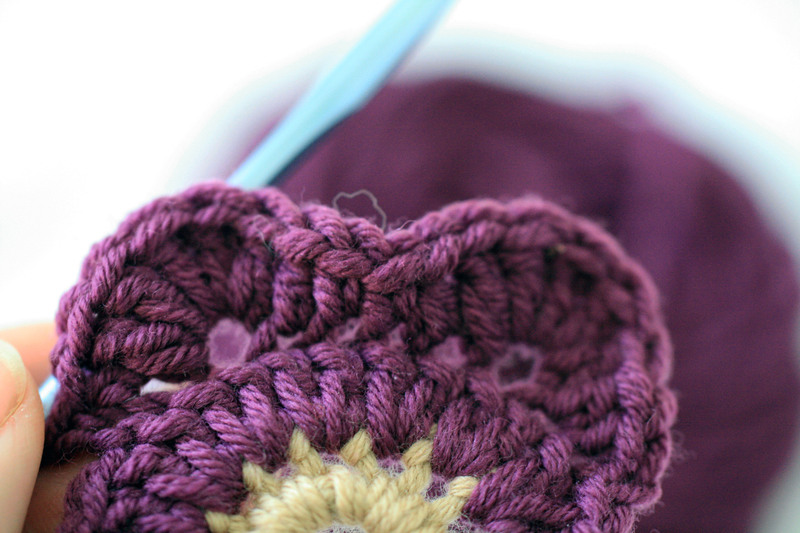 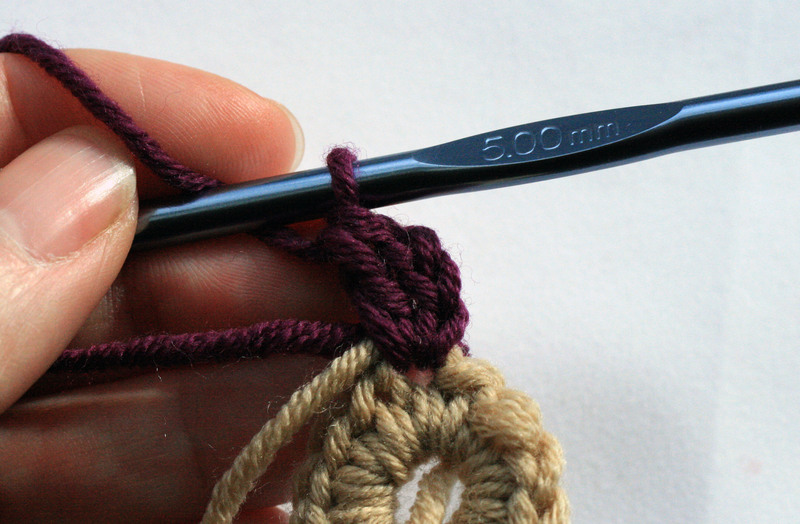 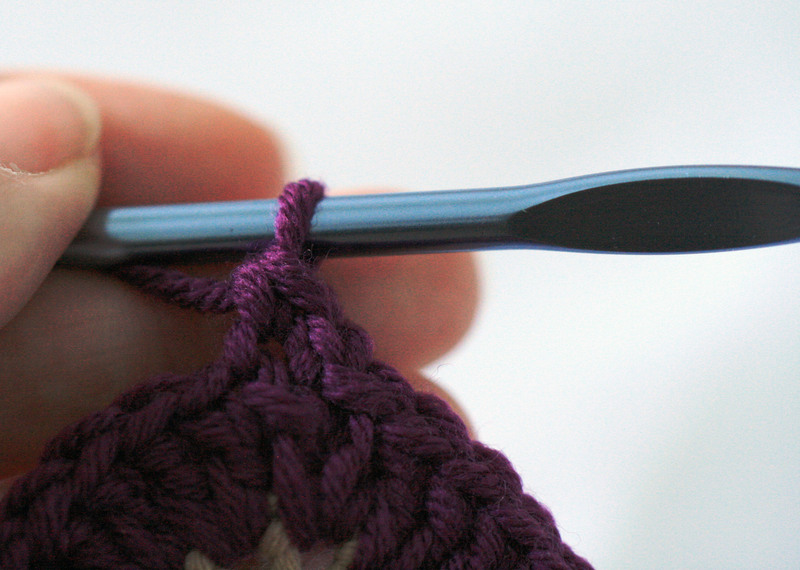 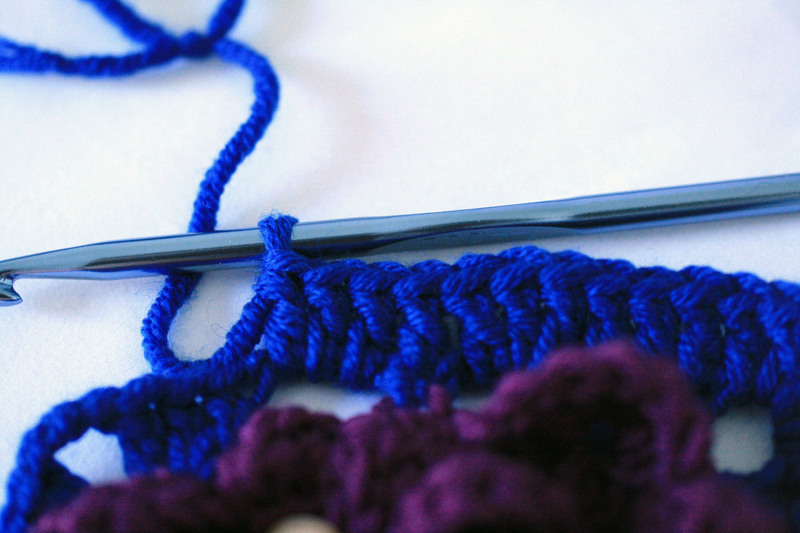 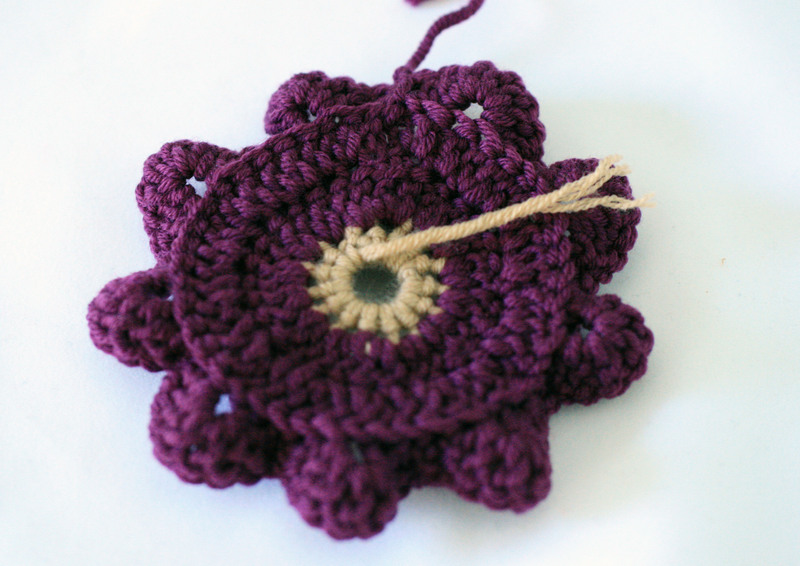 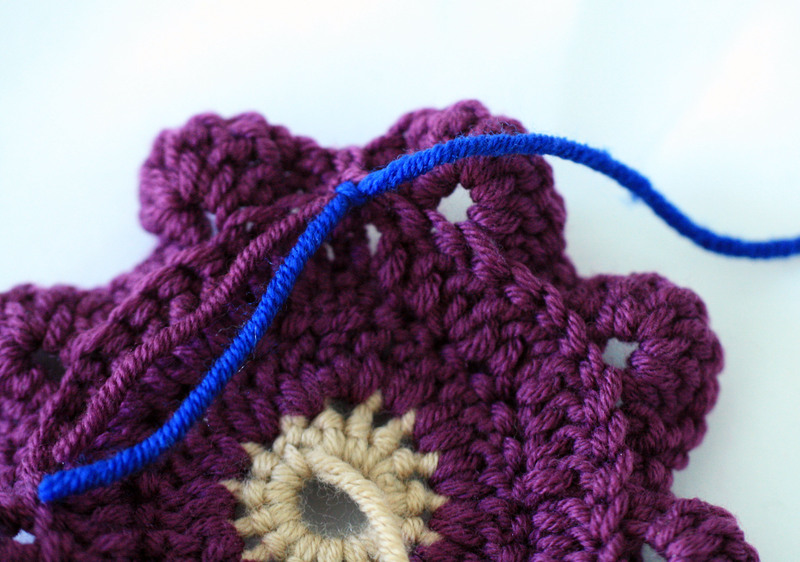 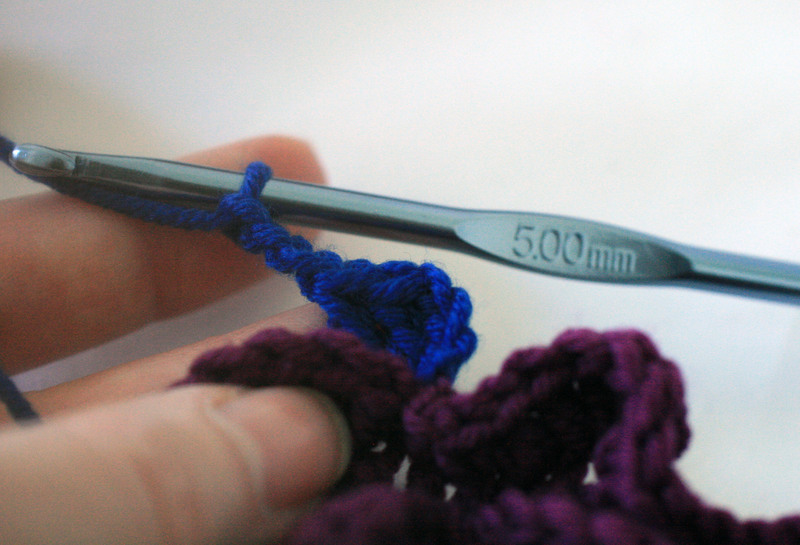 Join with a slip stitch into the first chain to form a ring. 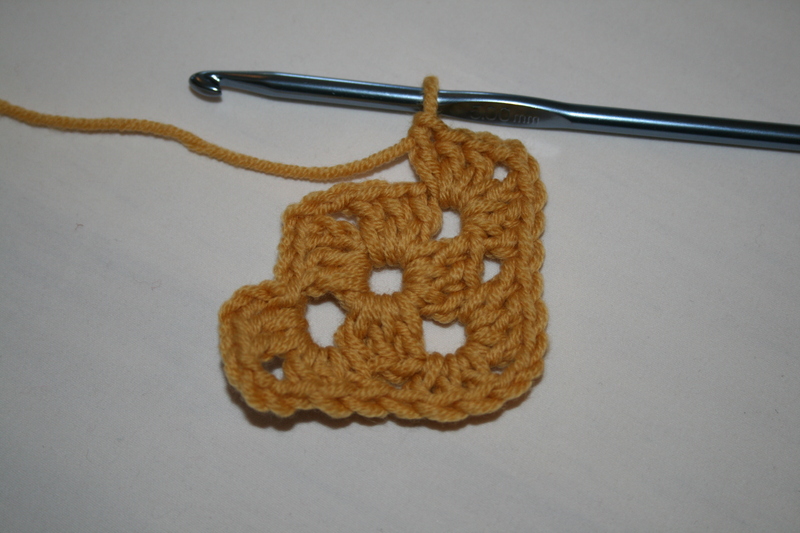 Chain 3, these will count as the first treble crochet for the first cluster. 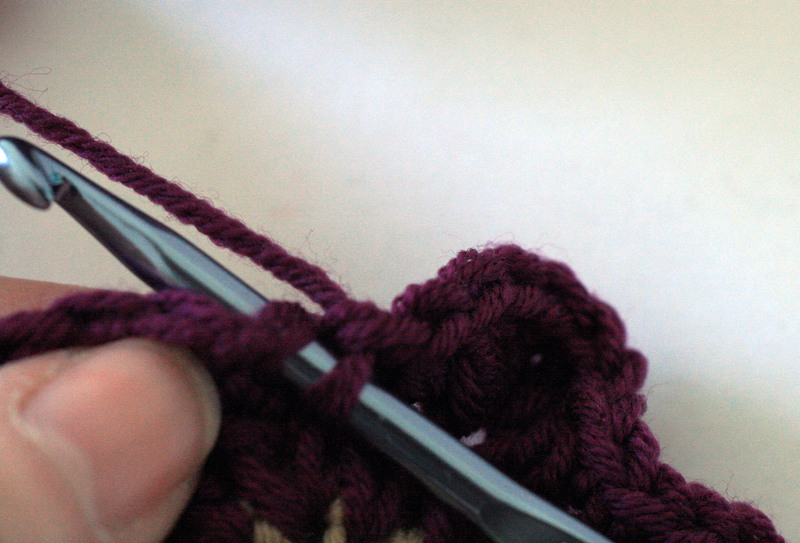 Work another 2 trebles into the centre of the ring to form the first cluster. 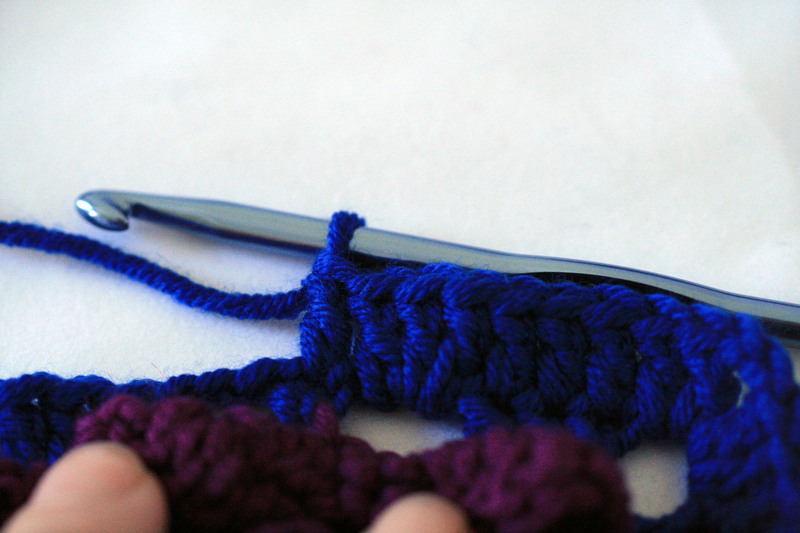 Chain 3 to make the first corner. 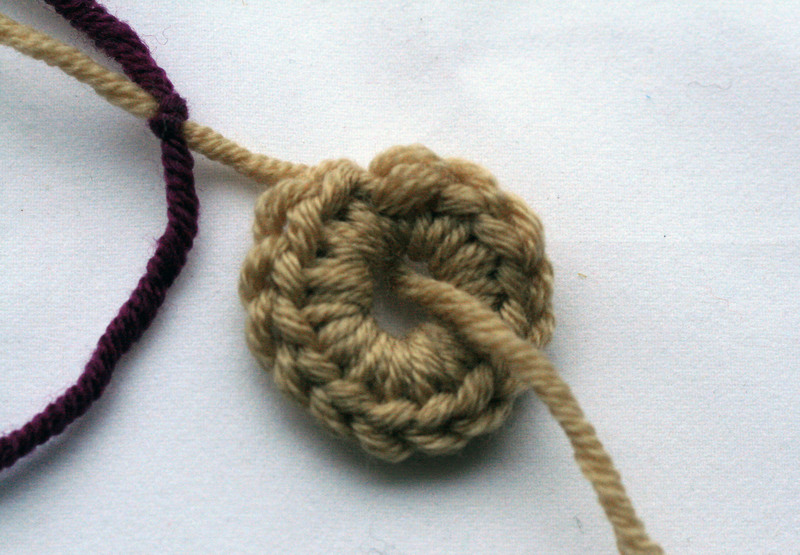 Work another 3 trebles into the centre of the ring to form the second cluster. 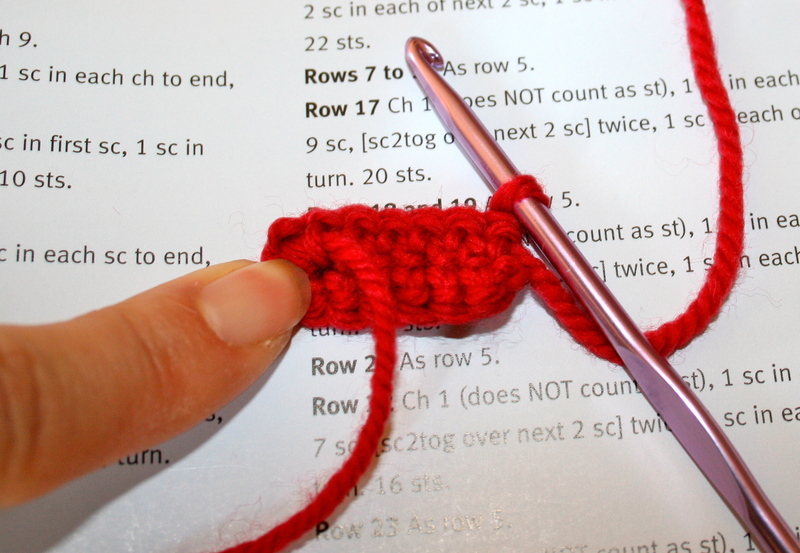 Chain 3 to form the second corner followed by 3 more trebles to make the third cluster. 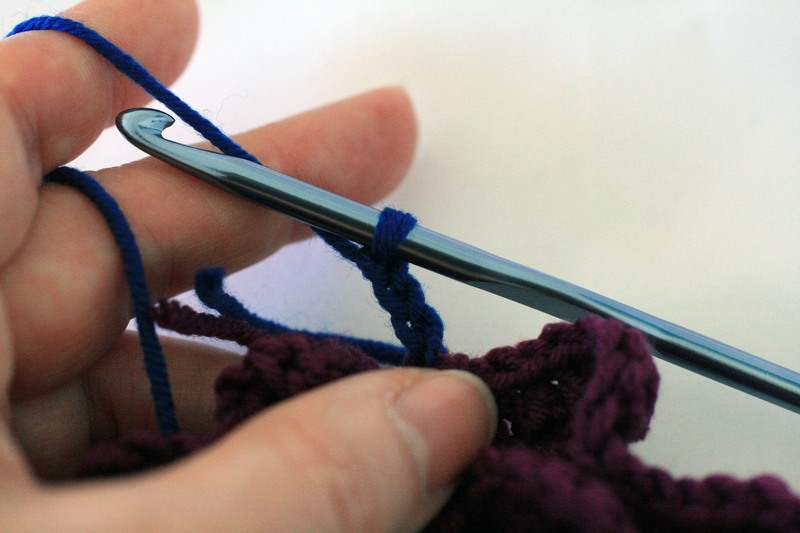 Work 3 chain to form the third corner and another 3 trebles to make the fourth cluster. 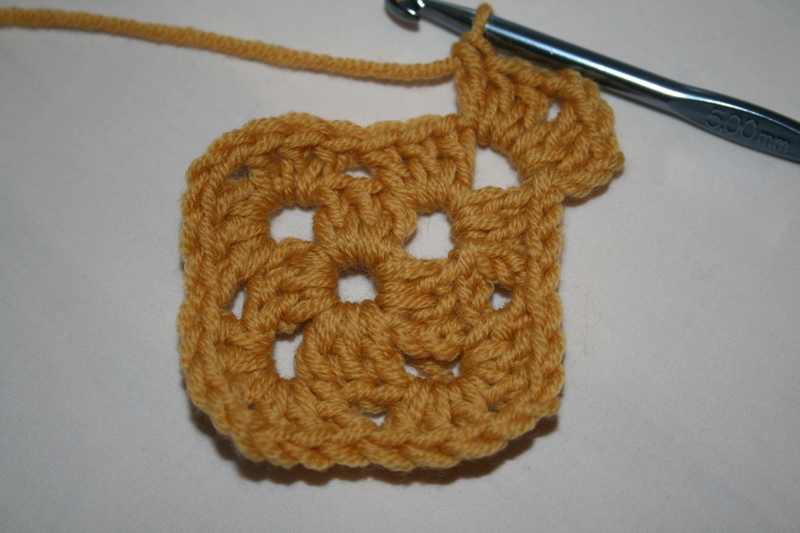 To complete this first round chain 3 to form the fourth corner. 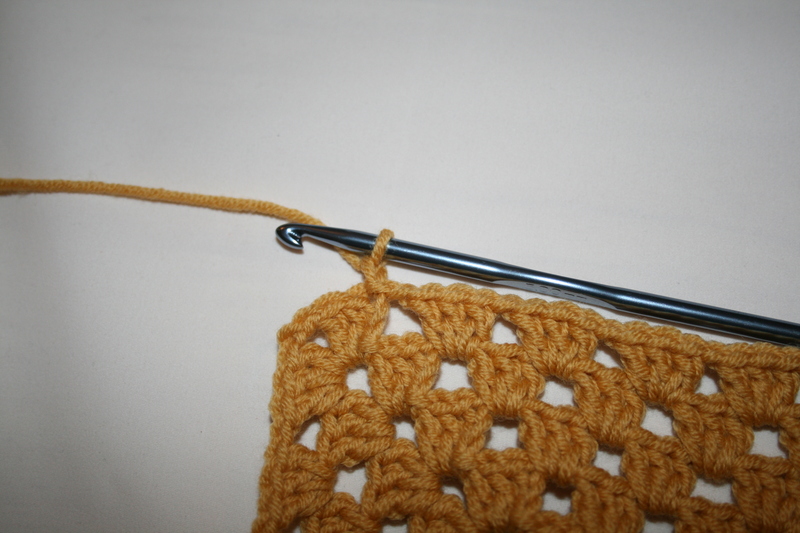 Then slip stitch into the third chain of the first 3 chain worked. 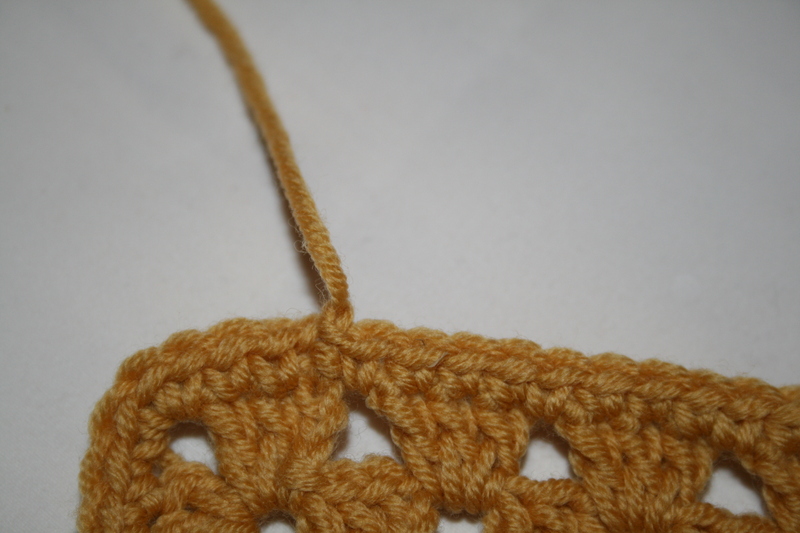 Slip stitch across the next 2 trebles. 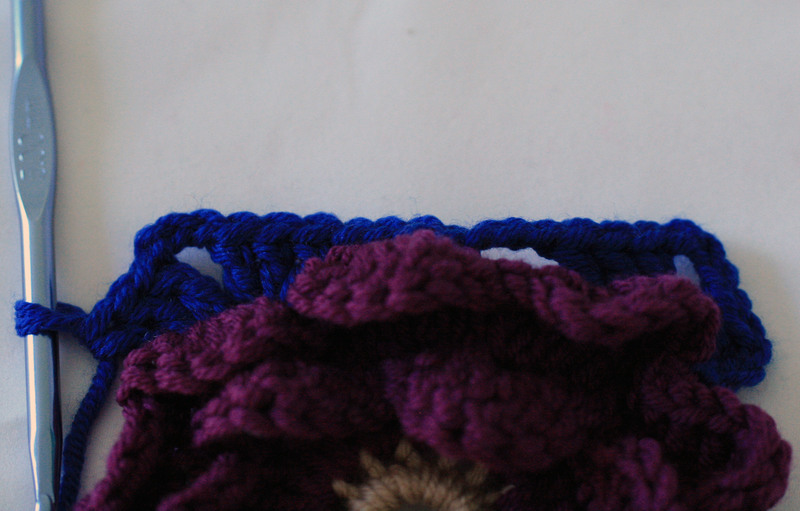 And again into the corner three chain space created on the previous round. 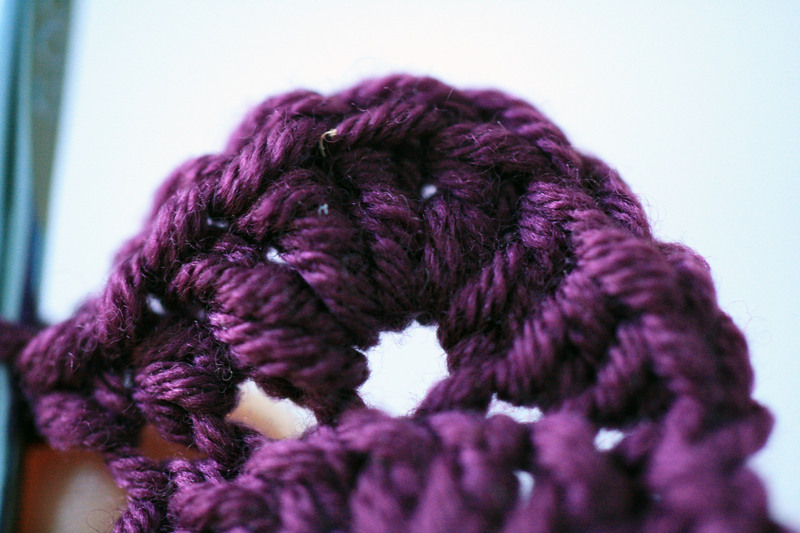 Chain 3, these 3 chain count as the first treble. 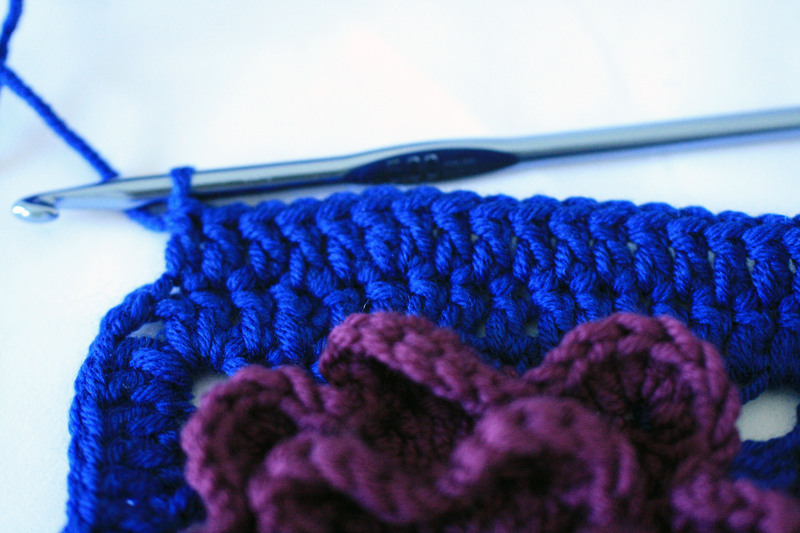 Continue working into the same corner space, work another 2 trebles, chain 2, 3 trebles to form the first corner of the second round. 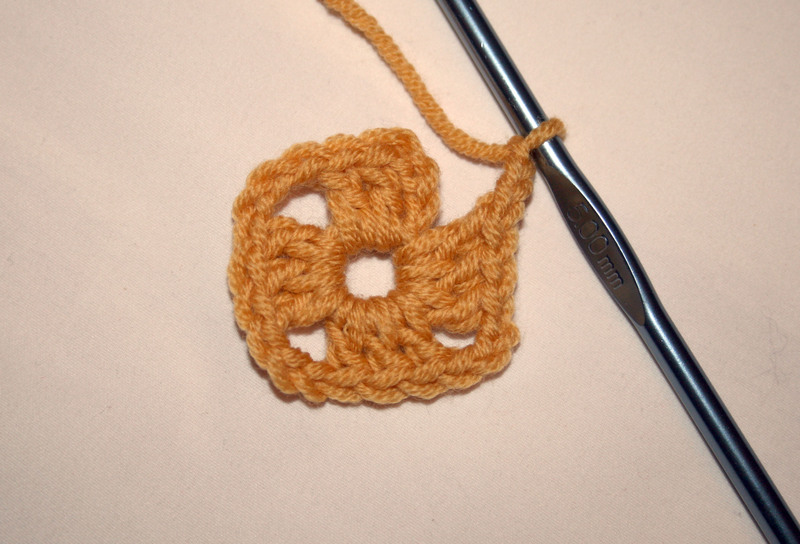 Working into the next corner space, *3 trebles, 2 chain, 3 trebles* to form the second corner. 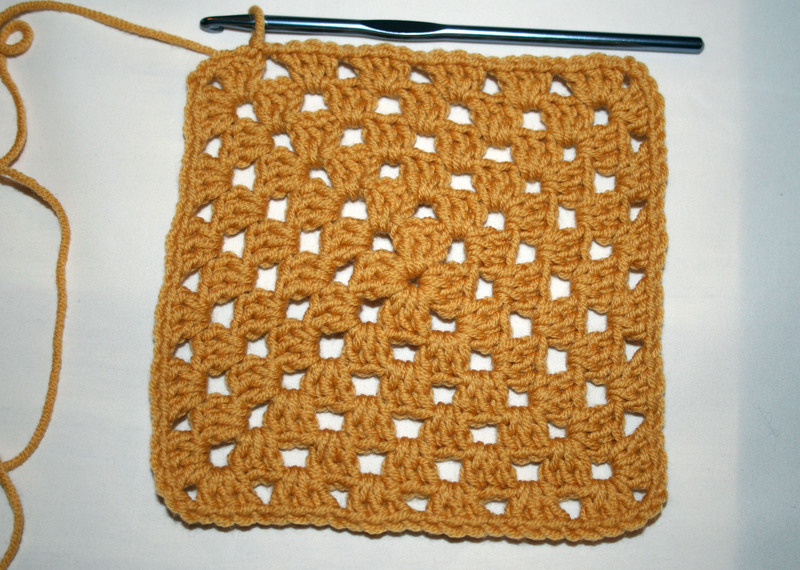 Repeat * to * into the next corner space to form the third corner. 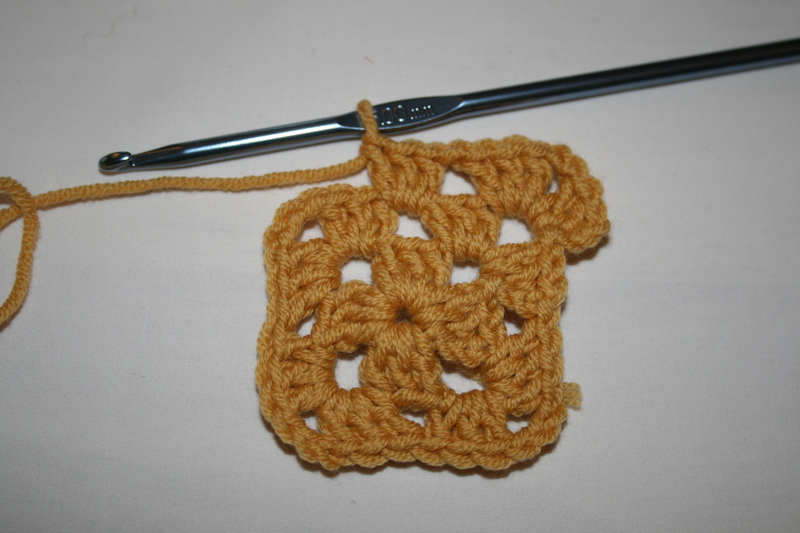 And into the last corner space to make the fourth corner. 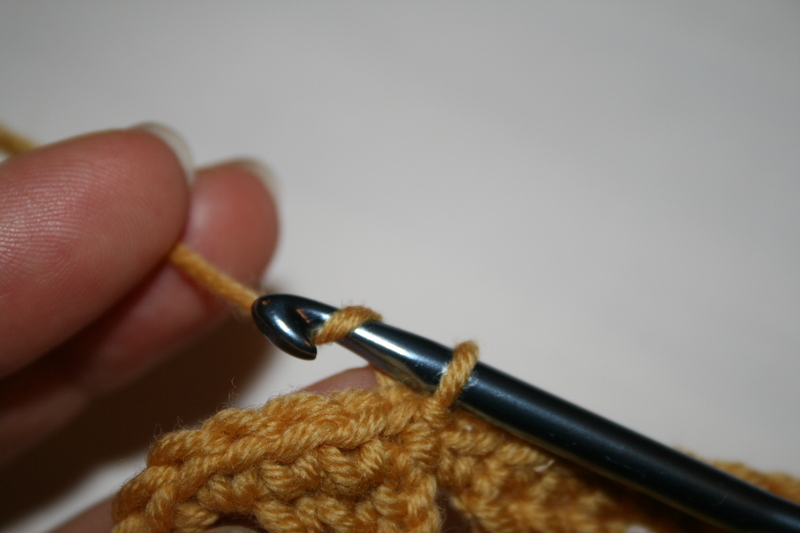 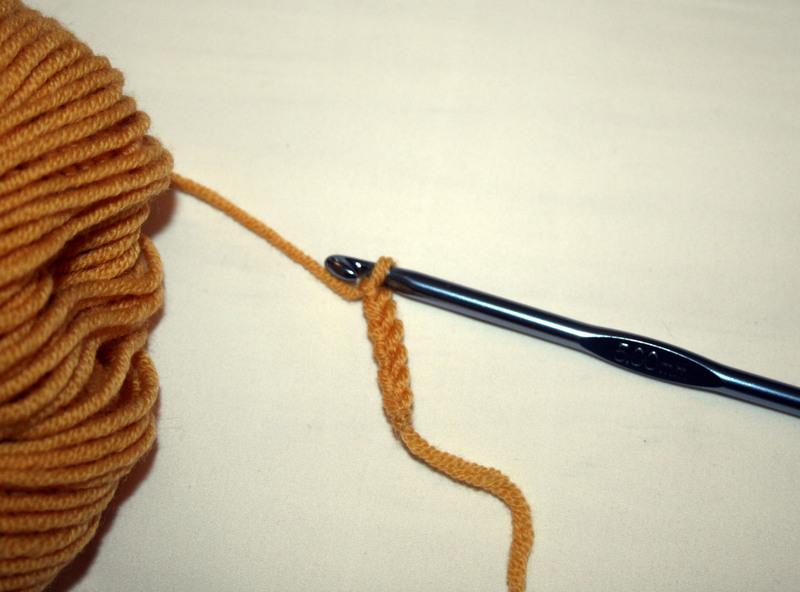 Slip stitch into the third chain of the first 3 chain worked at the beginning of the round. 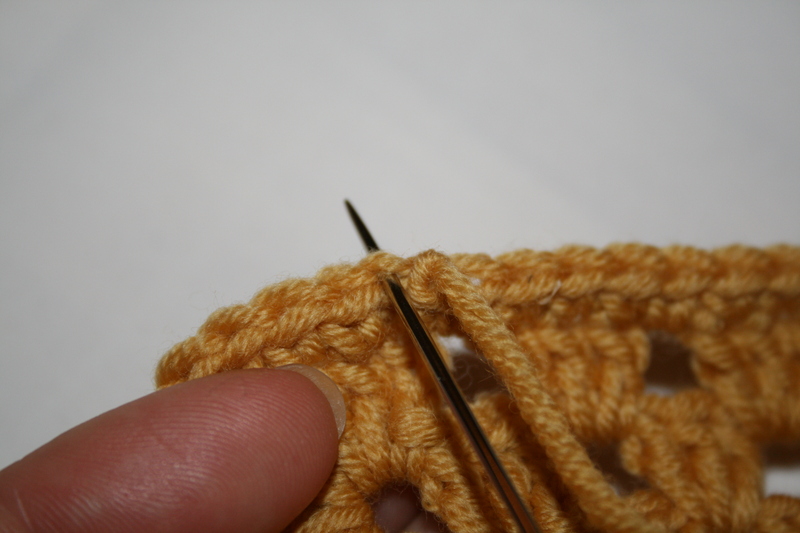 As with the previous round slip stitch across the first 2 trebles and into the first corner space of the previous round. 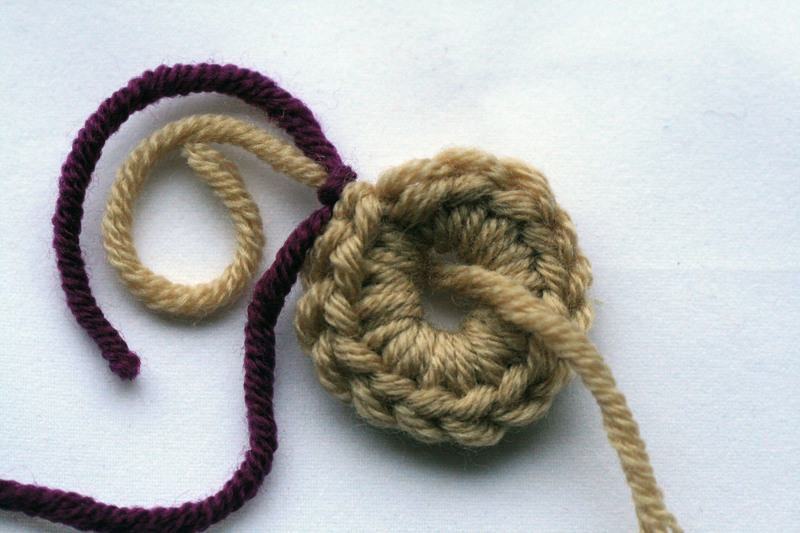 Chain 3, these 3 chain count as the first treble, continue working into the same corner space, work another 2 trebles, chain 2. 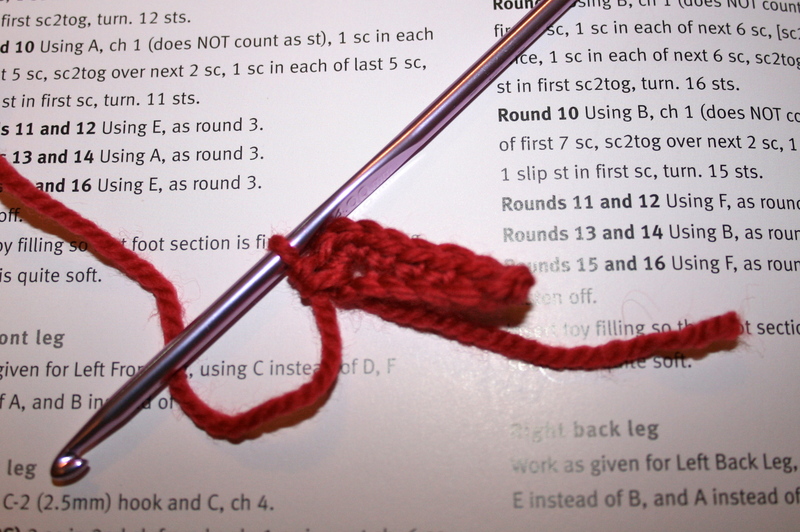 Work a further 3 trebles to form the first corner of the third round. 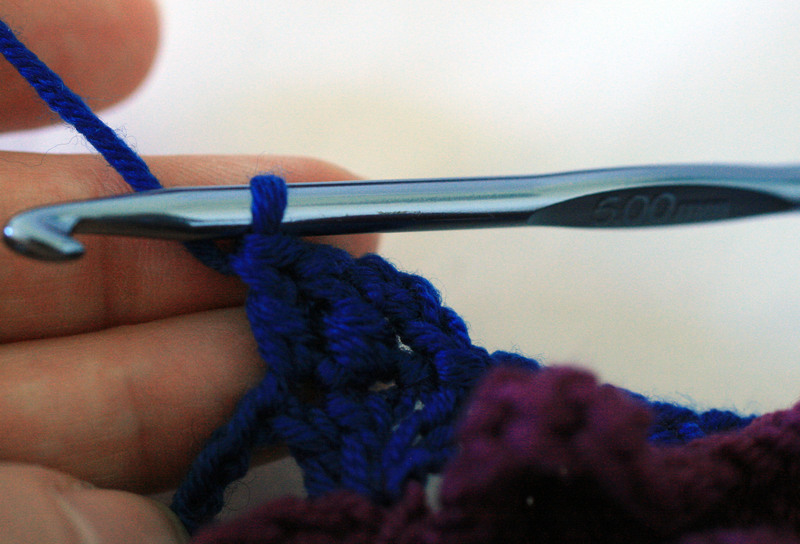 Chain 1, work 3 trebles into the next space, chain 1. 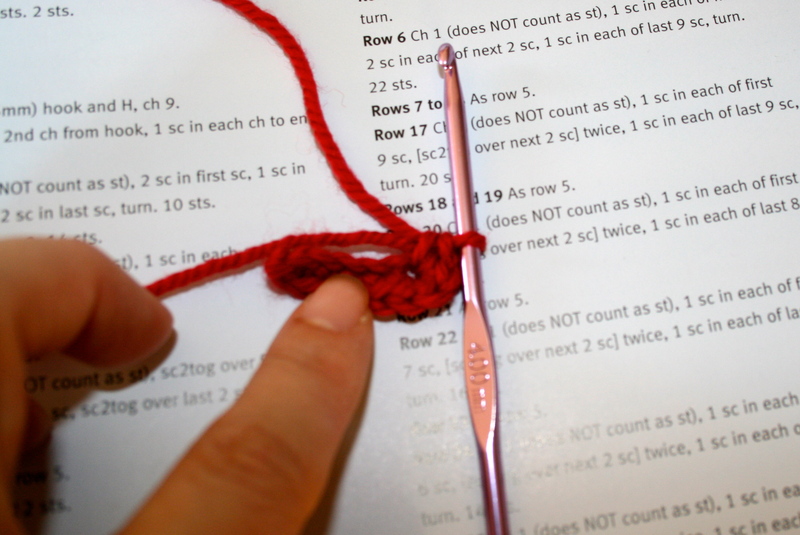 Working into the next corner space, *3 trebles, 2 chain, 3 trebles chain 1, work 3 trebles into the next space, chain 1*. 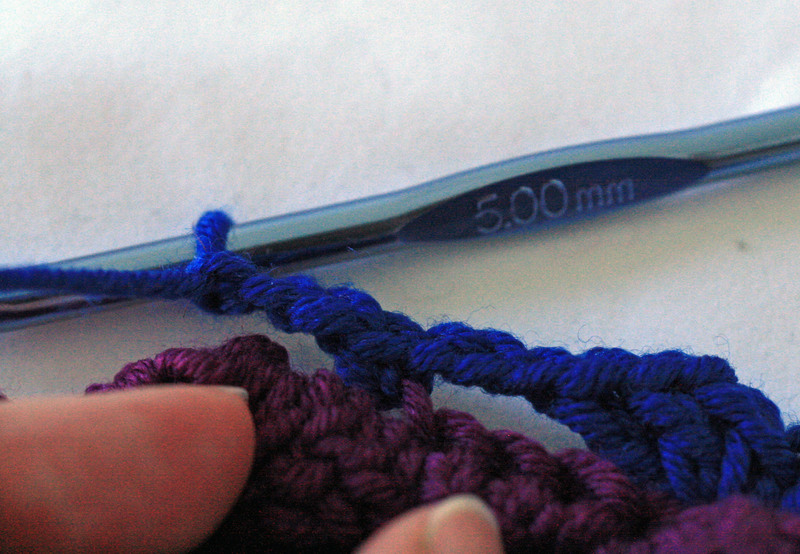 Repeat * to * twice more, then to complete the round slip stitch into the third chain of the first 3 chain worked at the beginning of the round. 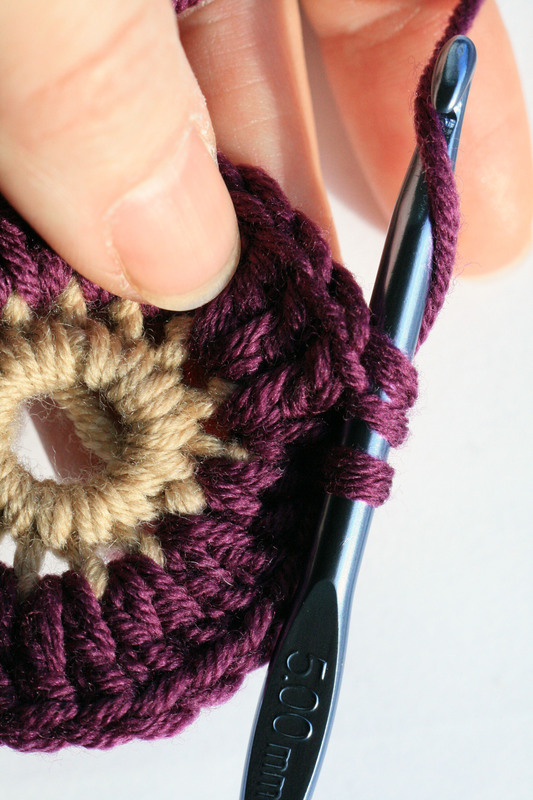 Continue adding rounds until your square is the desired size noting that each round will add another space on the straight edges. 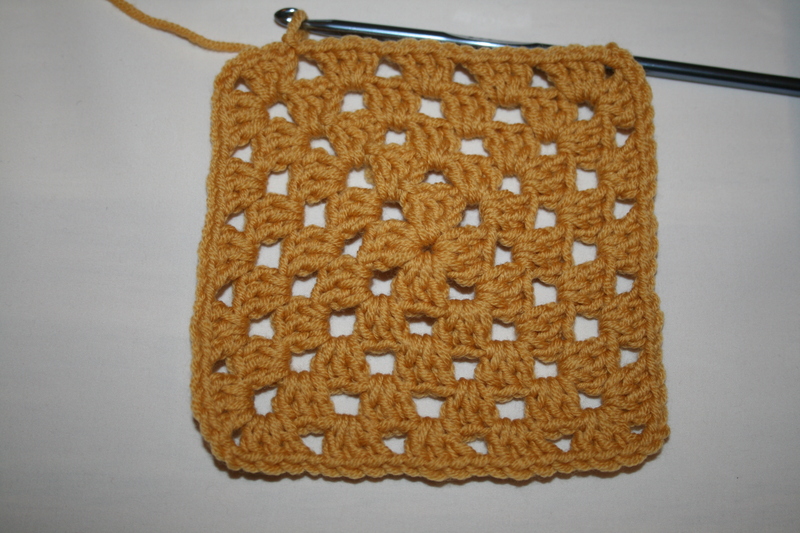 To complete my square I did six rounds ending with a slip stitch into the third chain of the first 3 chain worked at the beginning of the round. 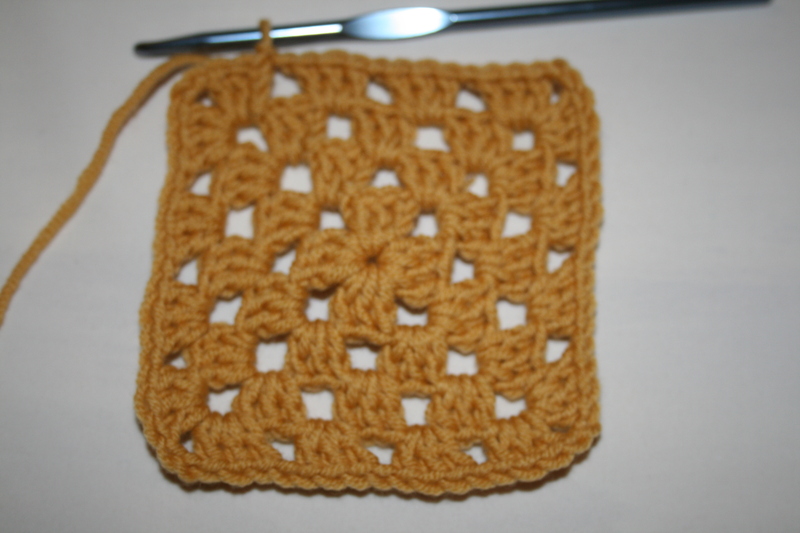 You can end your square here but I like to finish with a round of double crochet as this gives a nice firm finish and a neat joining edge if you are joining several squares together. 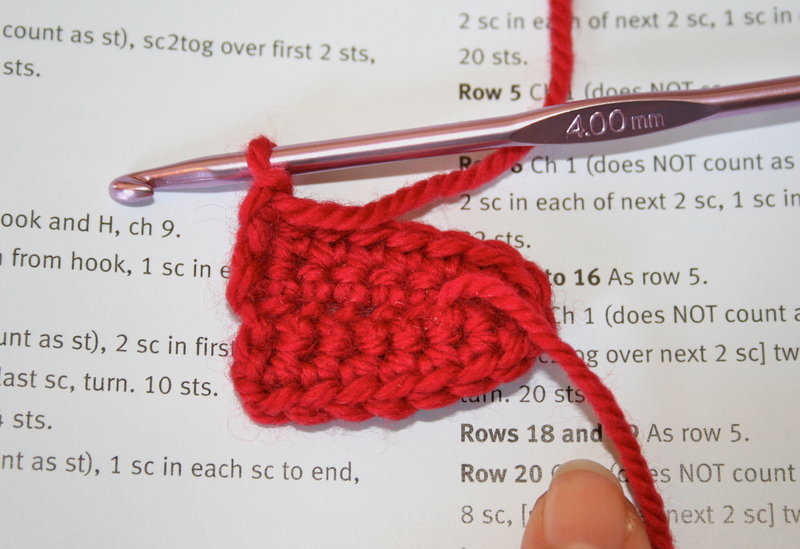 As we will be working into each treble and chain space of our last round there is no need slip stitch across to the corner space to start this edging round, you can continue from the slip stitch at the end of the final round. 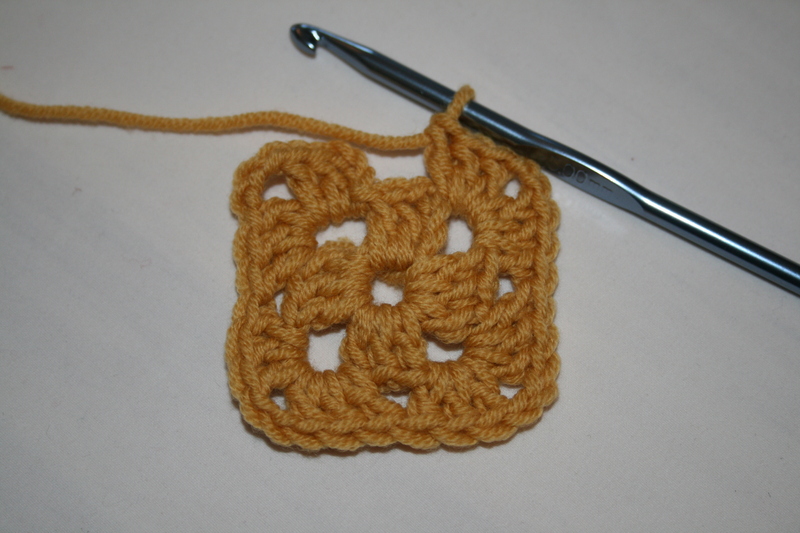 Chain 1, this counts as the first double crochet. 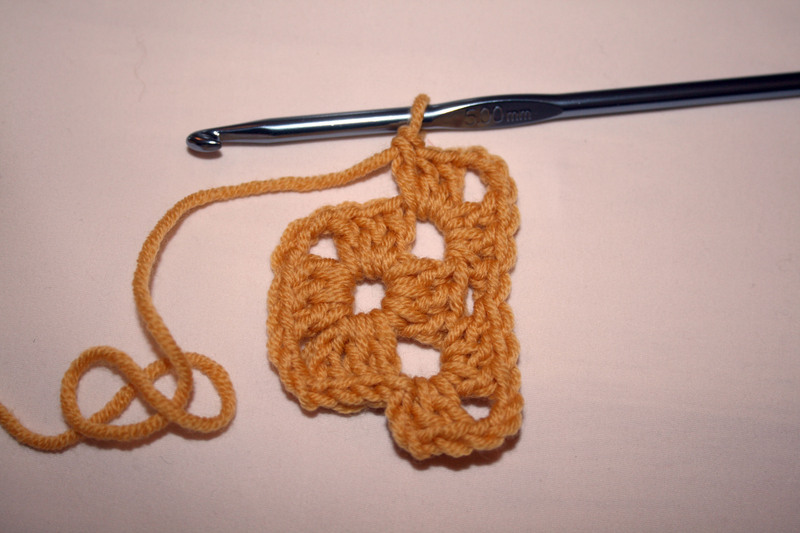 Work first double crochet into the second treble of the previous round, second double crochet into the third treble. 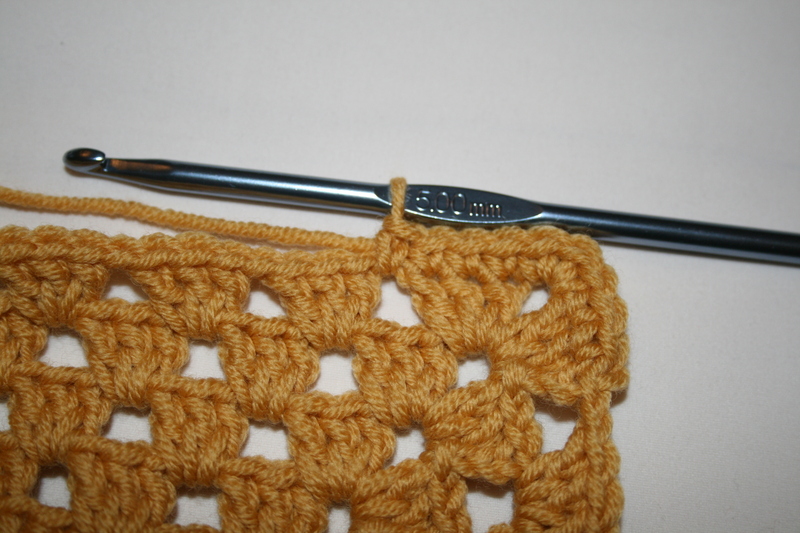 Work 3 double crochet into the corner space. 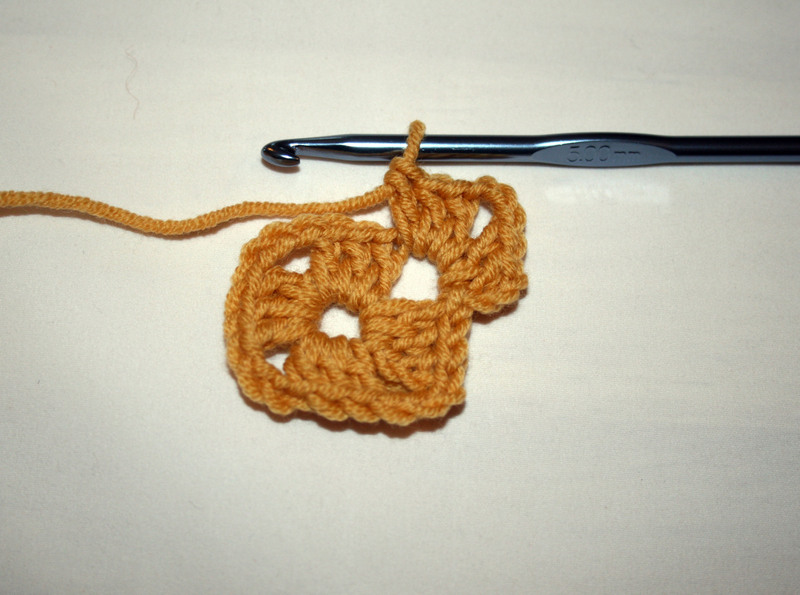 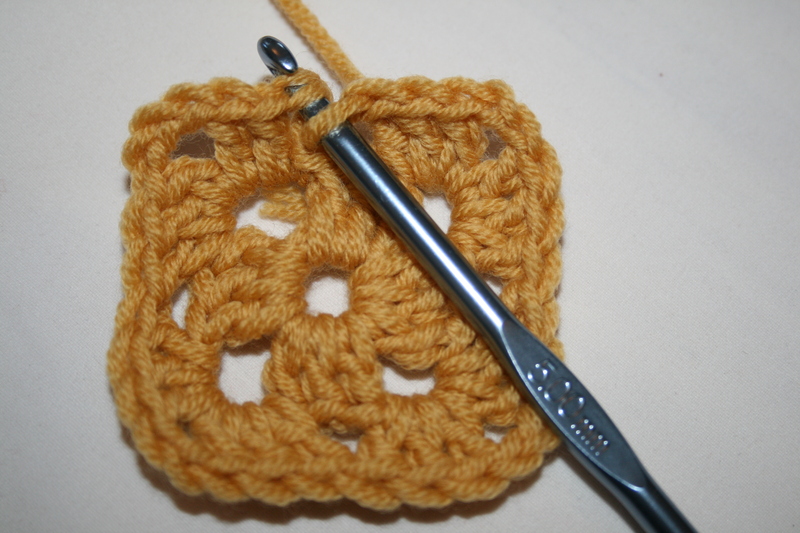 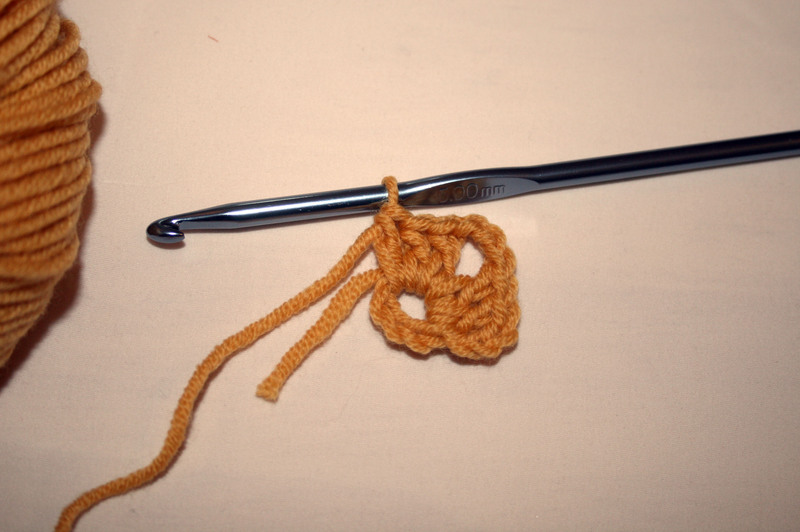 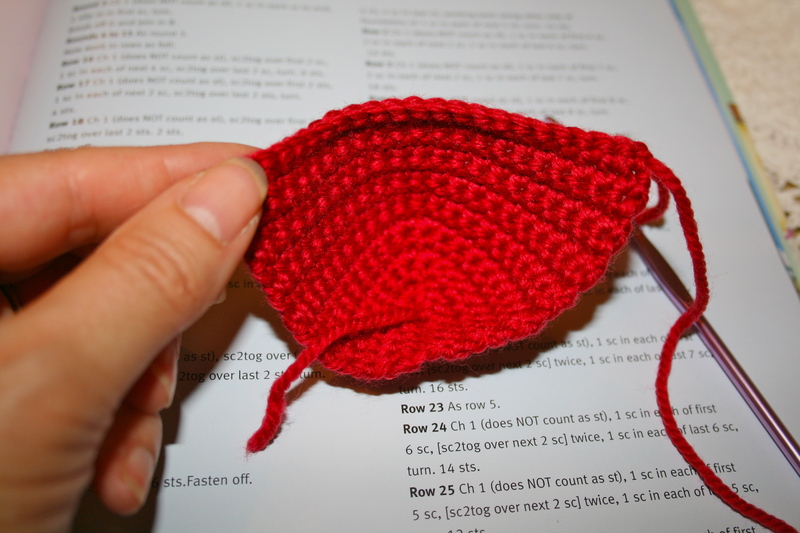 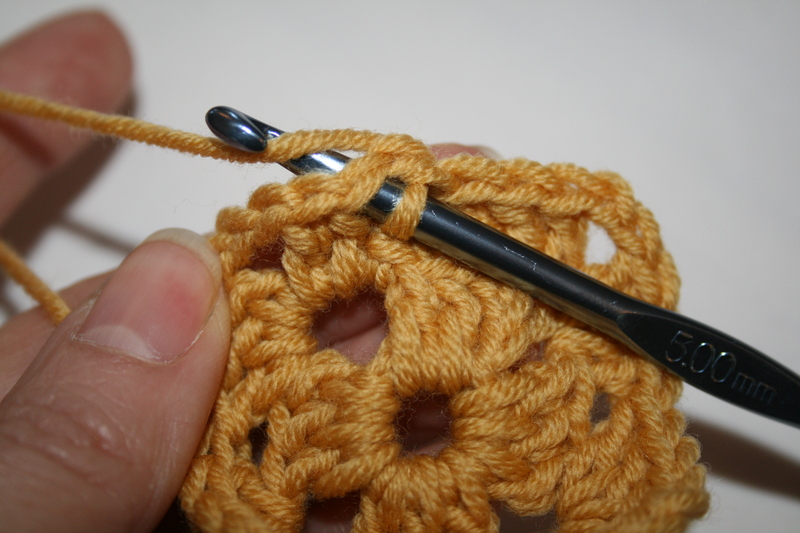 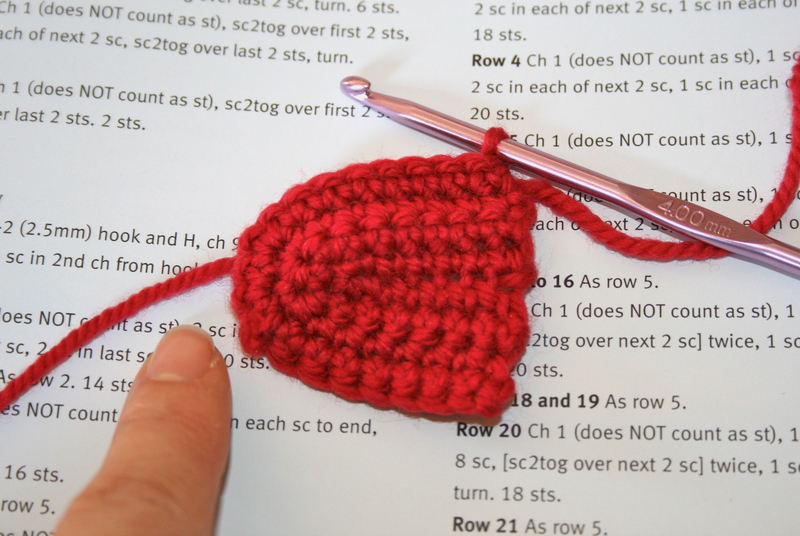 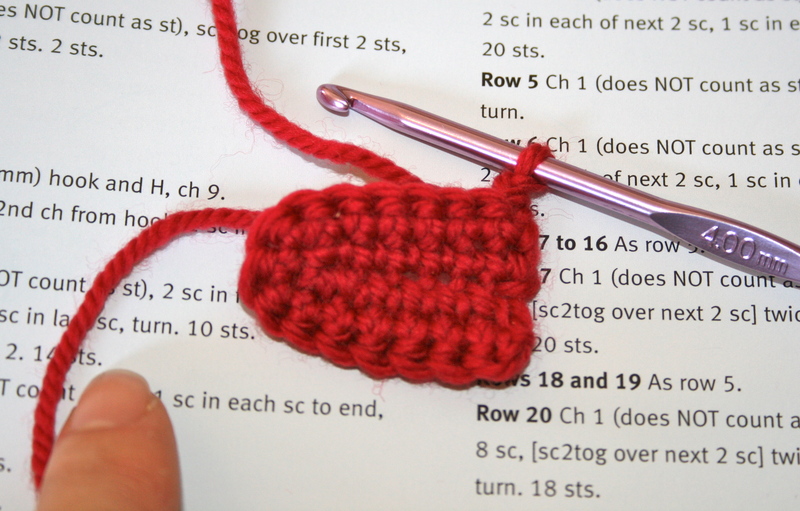 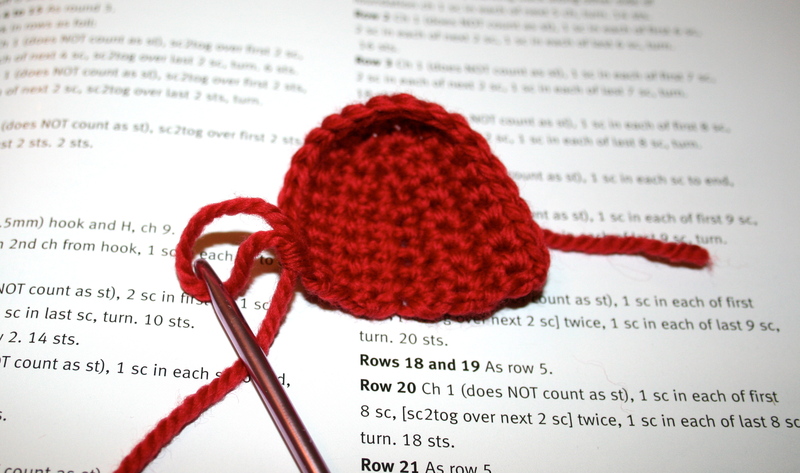 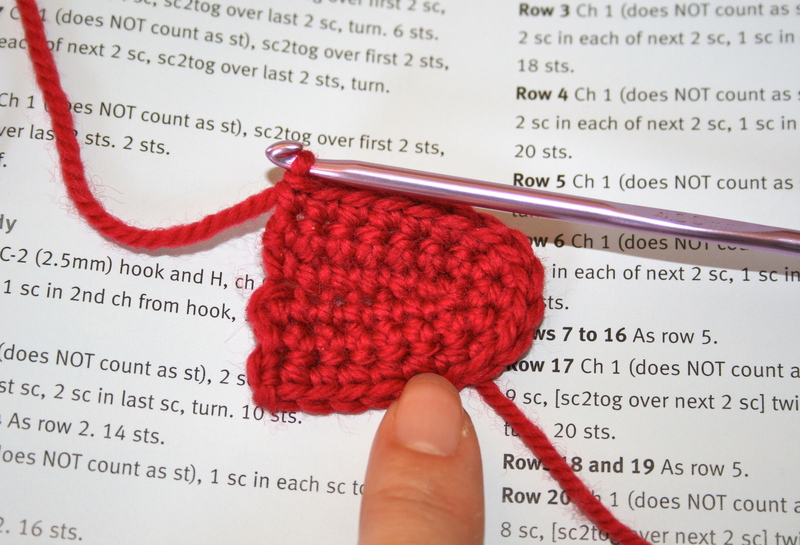 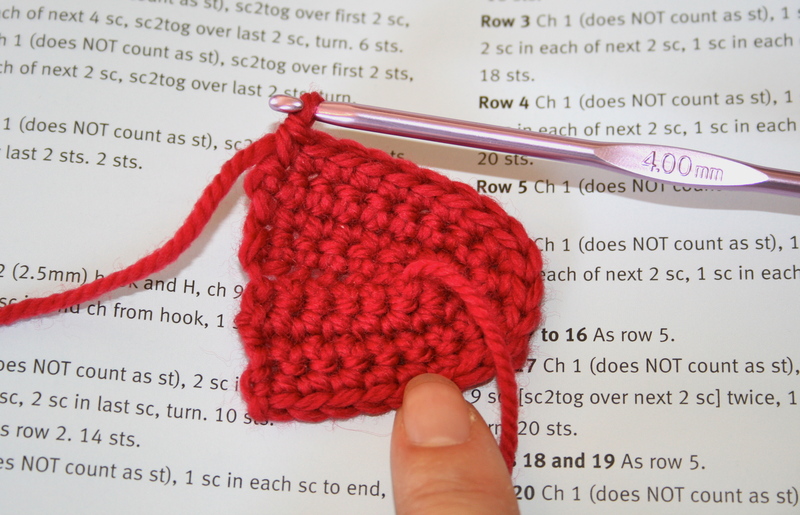 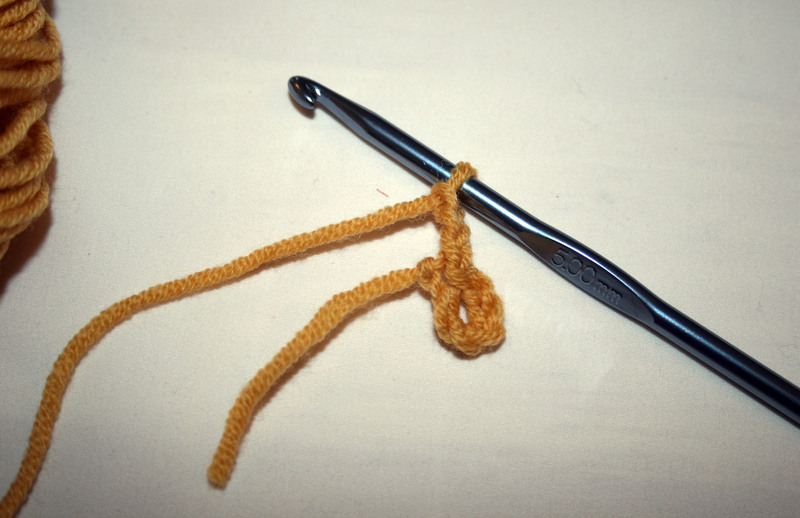 Continue to work 1 double crochet into each of the next 3 trebles of the corner. 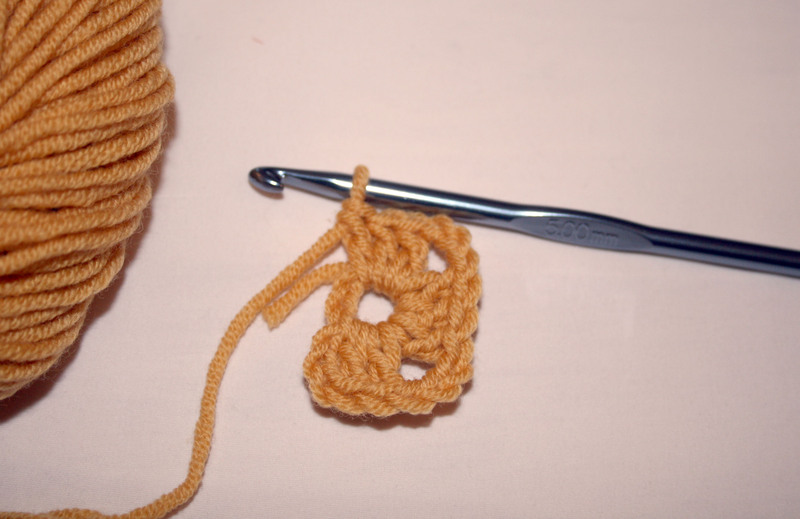 Work 1 double crochet into the next chain space. 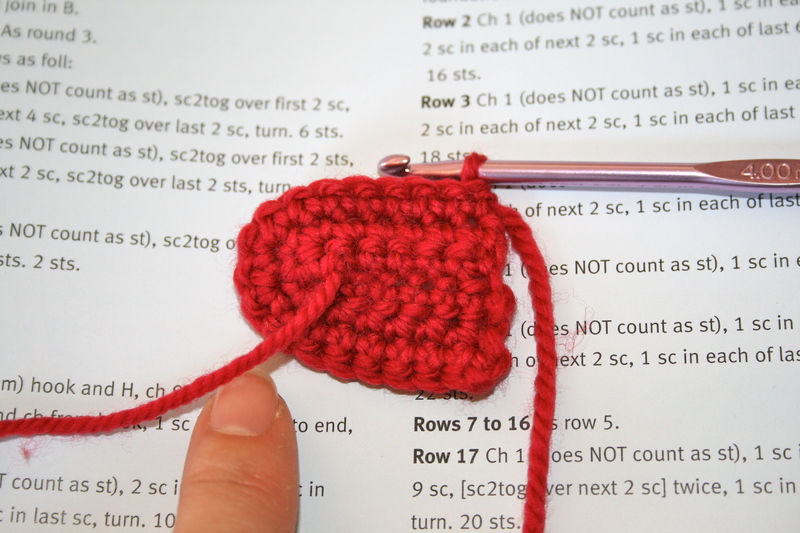 Continue all the way round working 1 double crochet into each treble and each chain space of the previous round and 3 double crochet into each corner space. 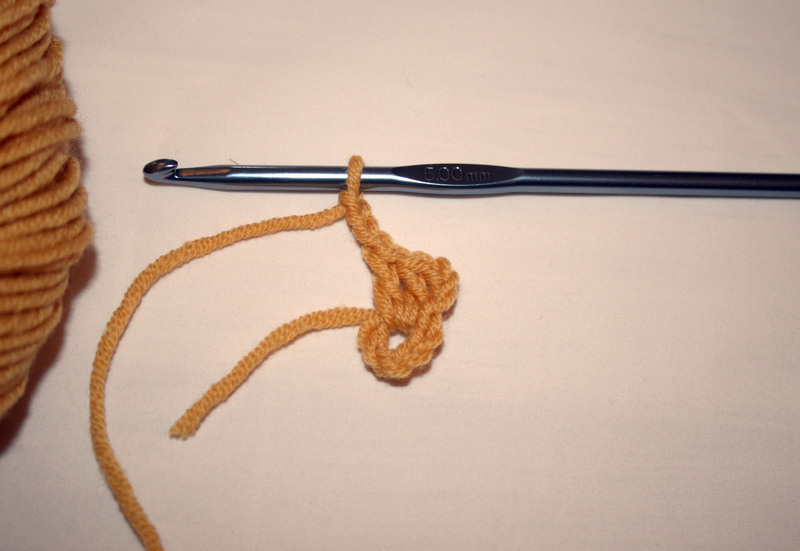 Slip stitch into the chain at the beginning of the round and snip your yarn leaving a 2-3 inch tail. 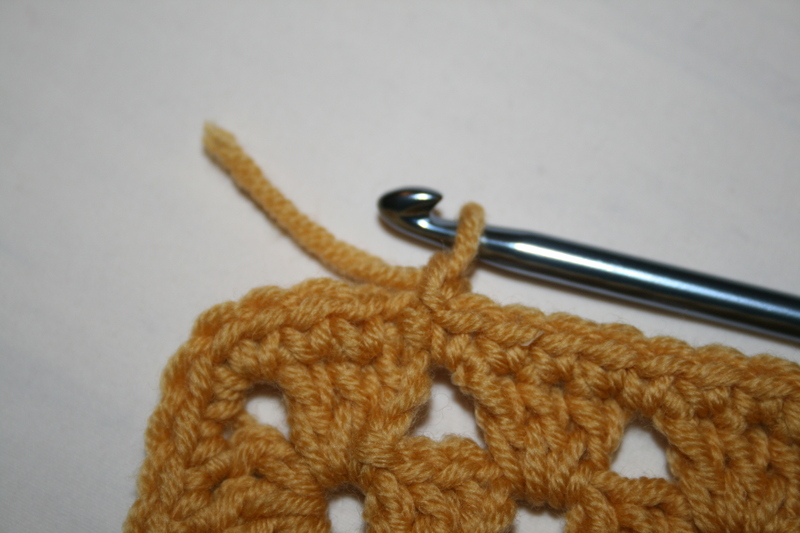 To fasten off pull the tail through the loop on the hook. 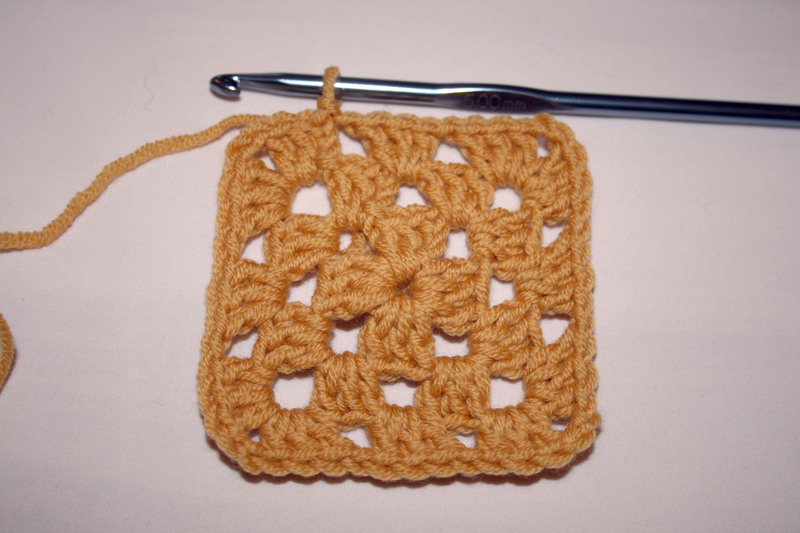 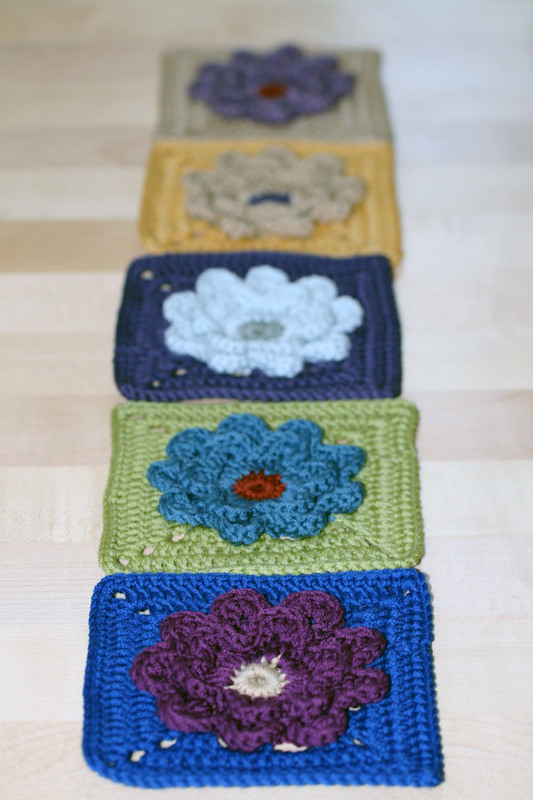 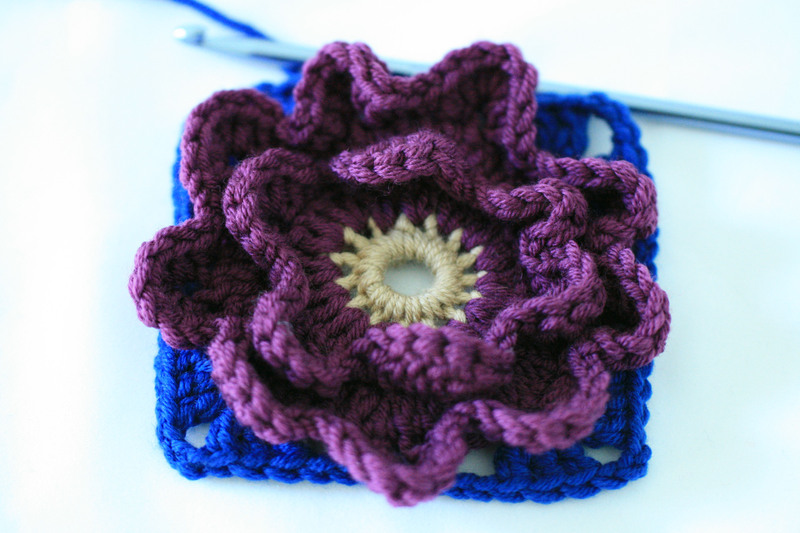 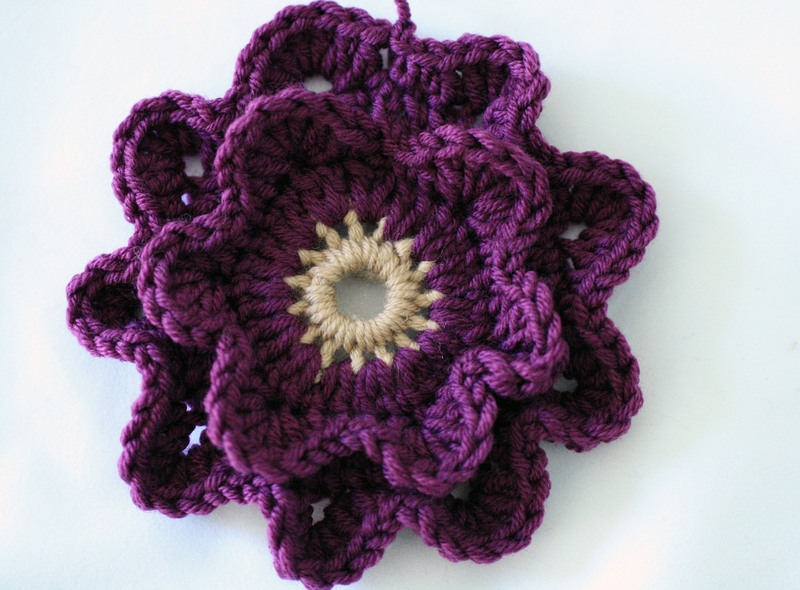 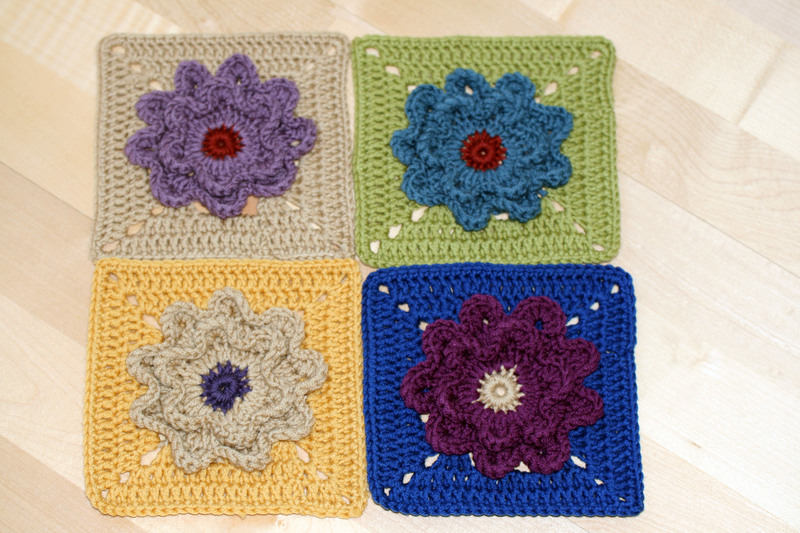 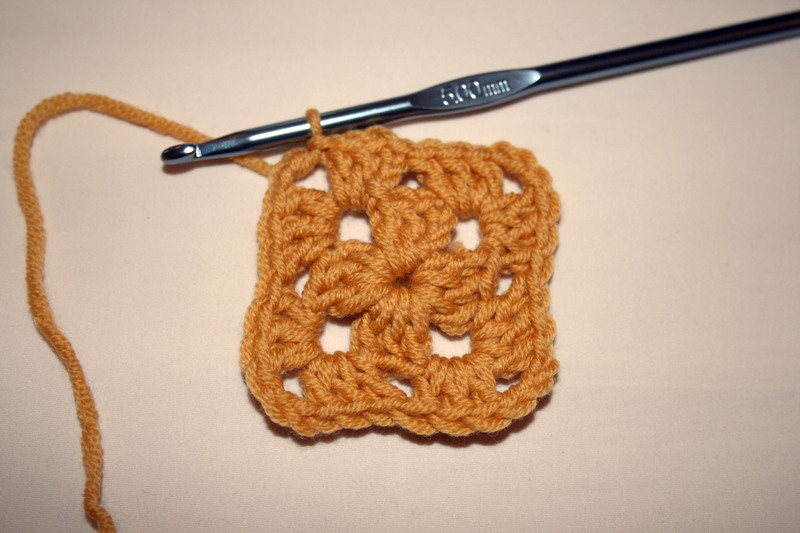 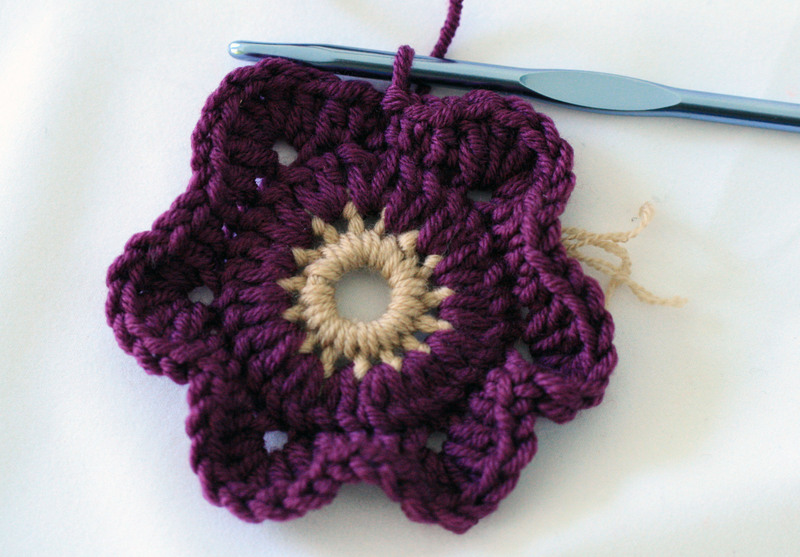 Now all you have left to do is sew in the loose ends at the beginning and the end of your Granny Square. 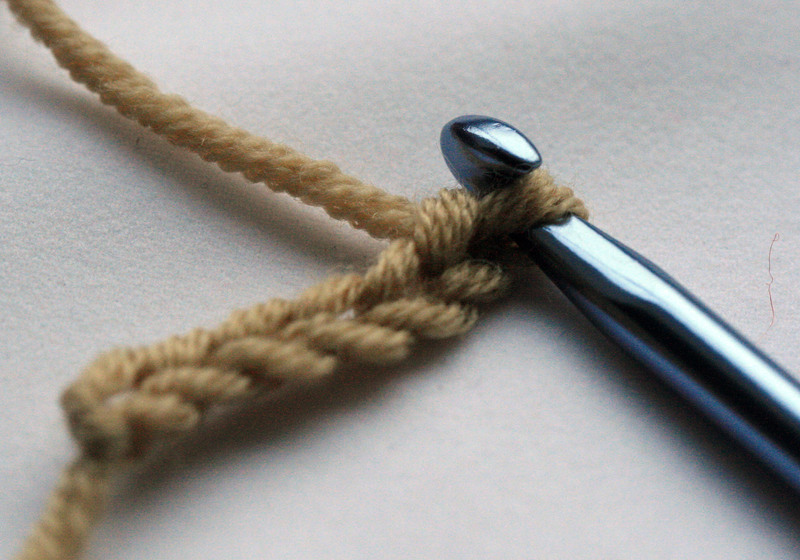 Thread the tail into a wool needle and push through the chain next to your finishing knot to the back of your square. 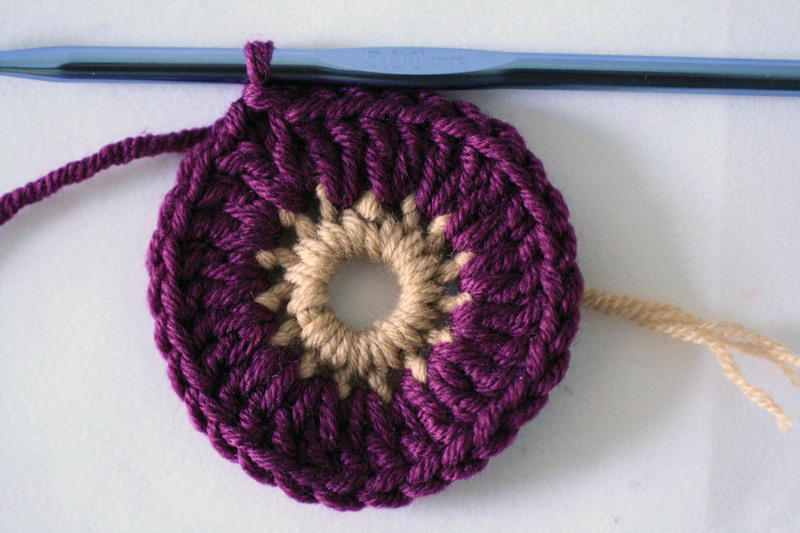 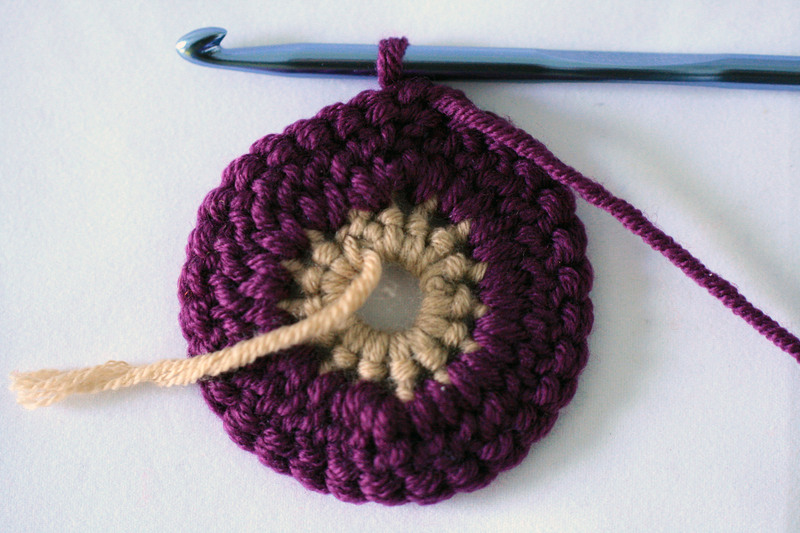 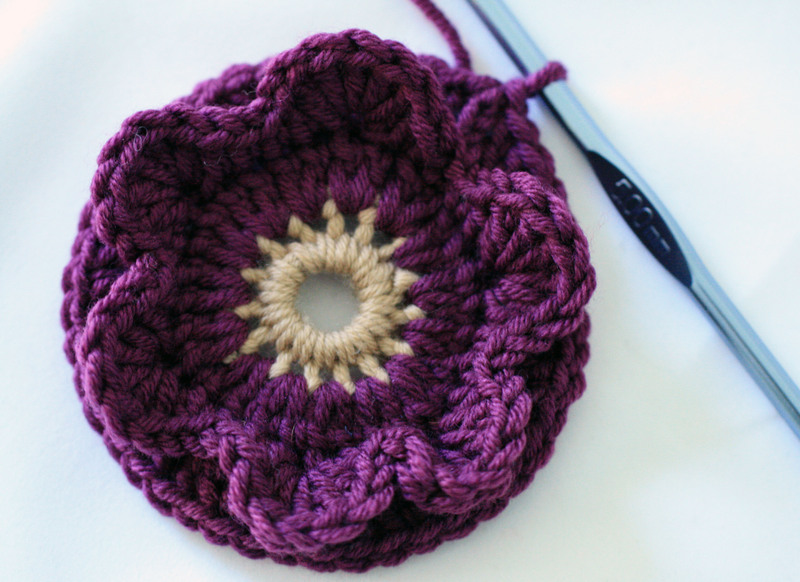 Then sew into the back of the double crochet round. 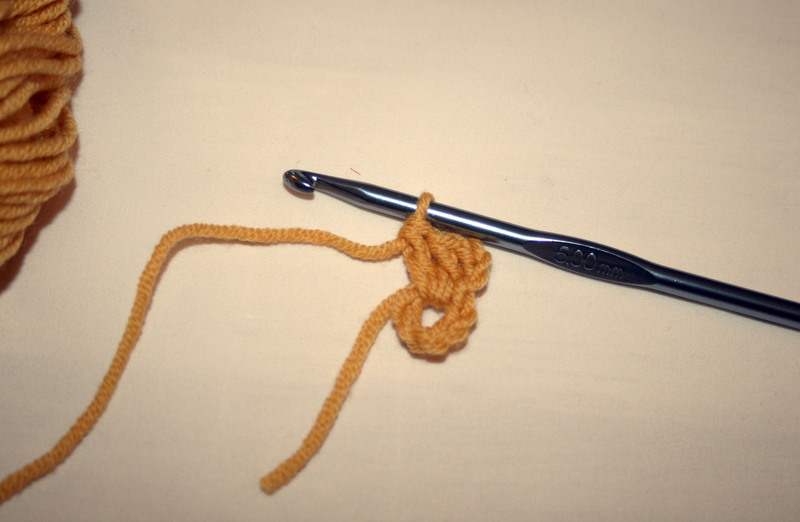 Cut of any loose ends. 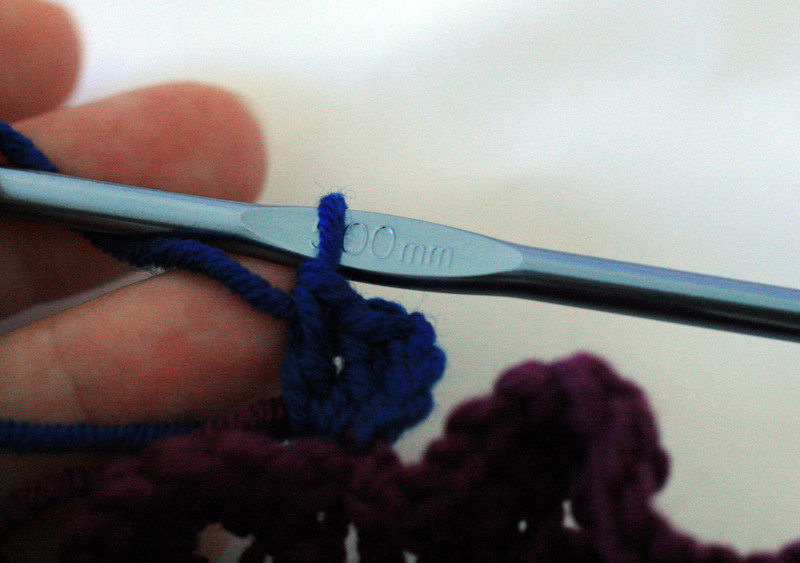 Thread the tail at the start of your work onto the wool needle and sew into the back of the trebles on the first round, this will also tighten the centre ring. 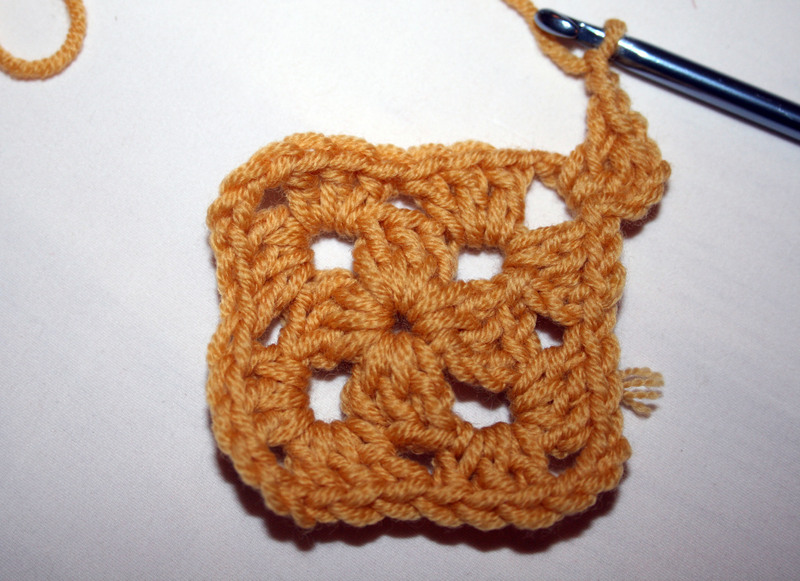 Cut off any loose ends and there you have it, your first Granny Square complete. 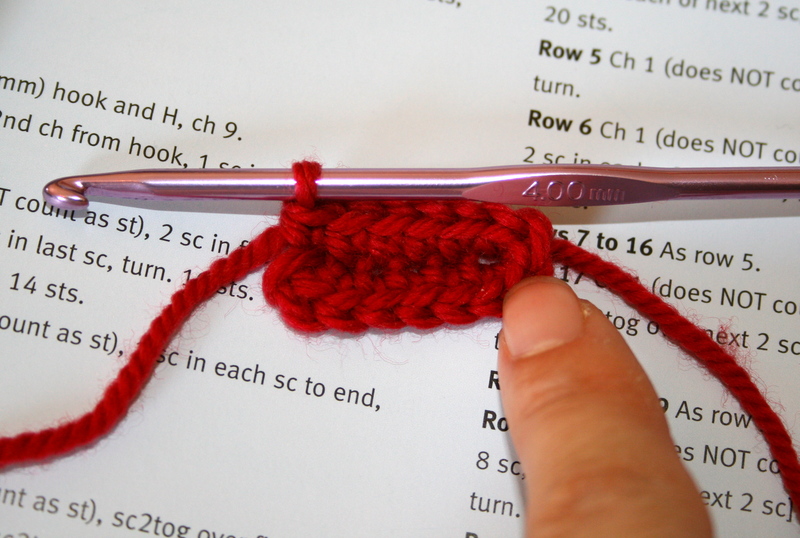 I hope this tutorial is useful to my good friends and anyone else out there who wants to get started. 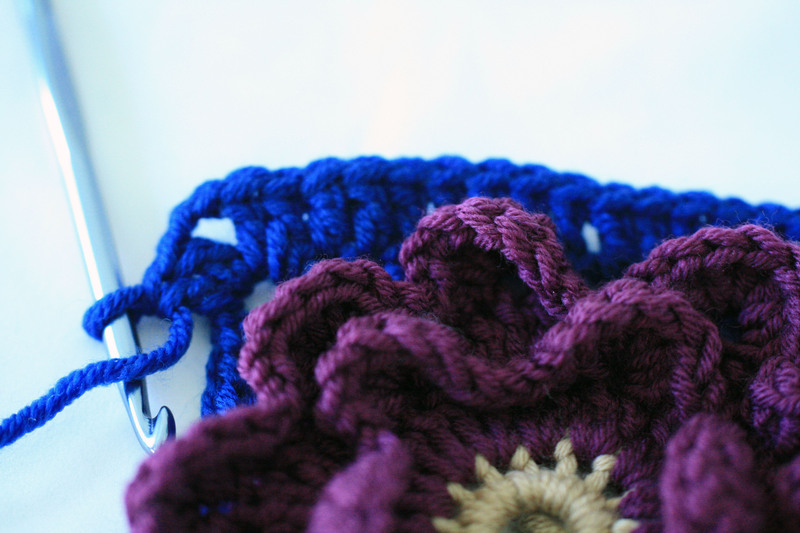 If you have any questions or would like any further information please feel to ask away and I will do my best to help.